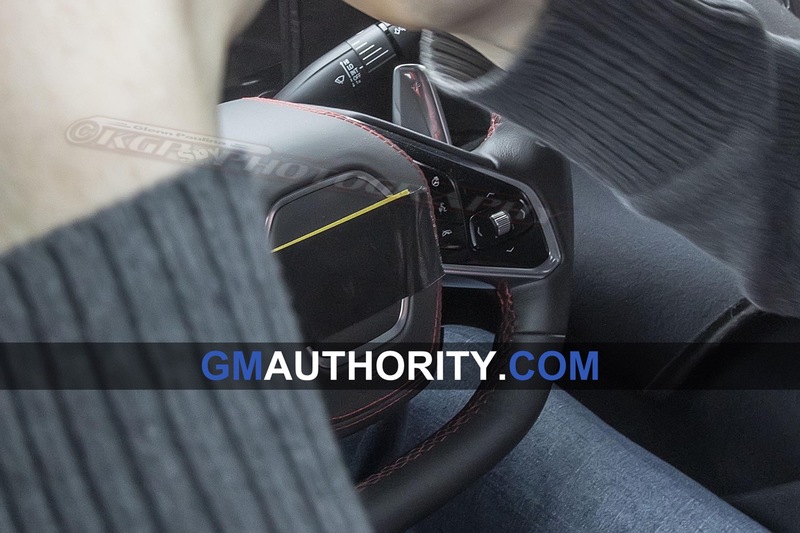 Virtually all modern passenger cars today have what’s called a “drive-by-wire” throttle, where the driver, rather than directly controlling the throttle by depressing a pedal that’s mechanically linked with the butterfly valve, manipulates a pedal that controls the throttle digitally through an electronic signal. 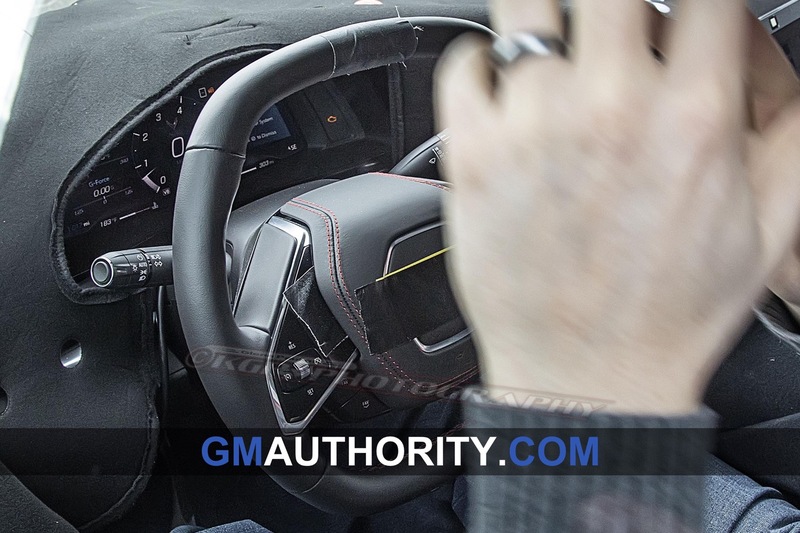 Each time the throttle pedal is depressed, a voltage signal is generated that tells an onboard computer how much throttle opening is being requested, and a corresponding signal is then sent to a motor on the throttle body that turns open the butterfly valve. 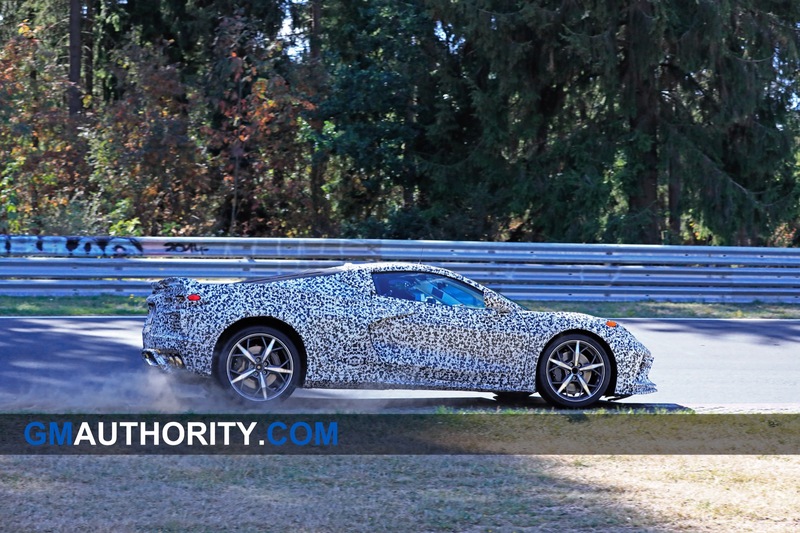 Drive-by-wire throttle is a useful technology in that it allows the car’s computer to override the driver’s throttle request in some circumstances, such as in traction/stability control systems like the Corvette‘s Performance Traction Management, and automatic rev-matching systems. 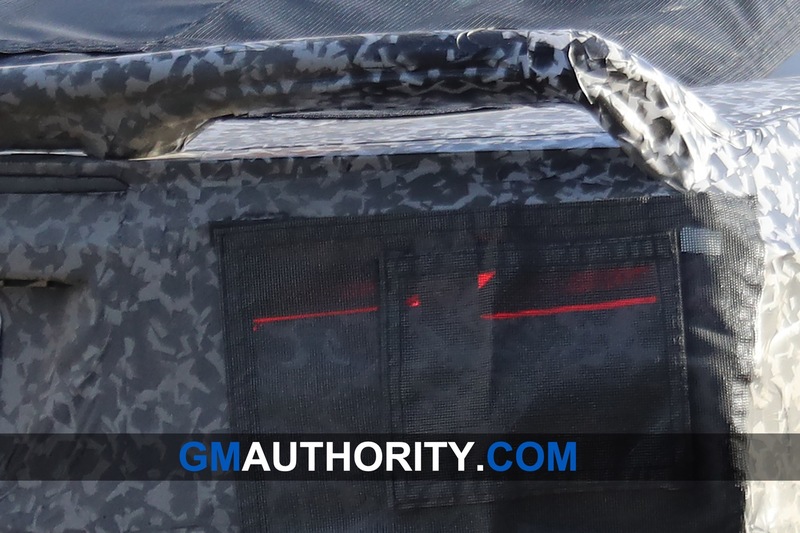 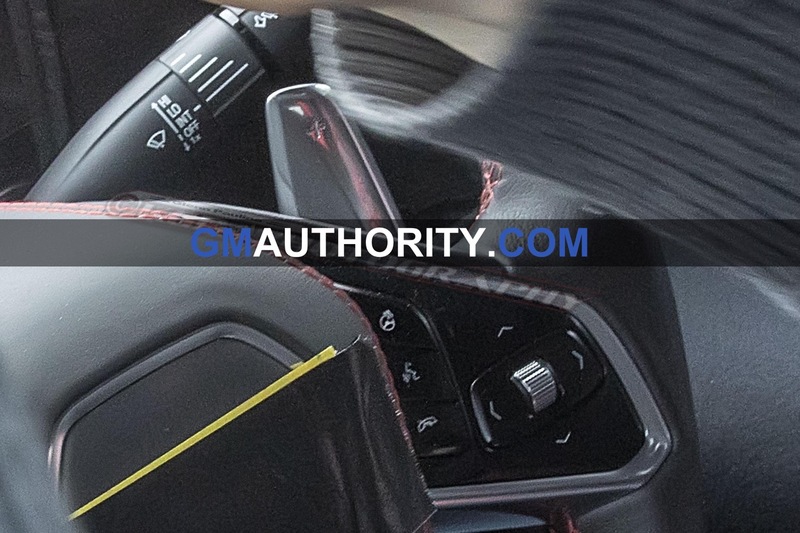 Now, General Motors is taking that technology and attempting to apply it to control of the clutch in manual transmission-equipped cars, having filed a patent application last year for an “Electronic Slave Cylinder for Manually Shifted Vehicles” (USPTO link). 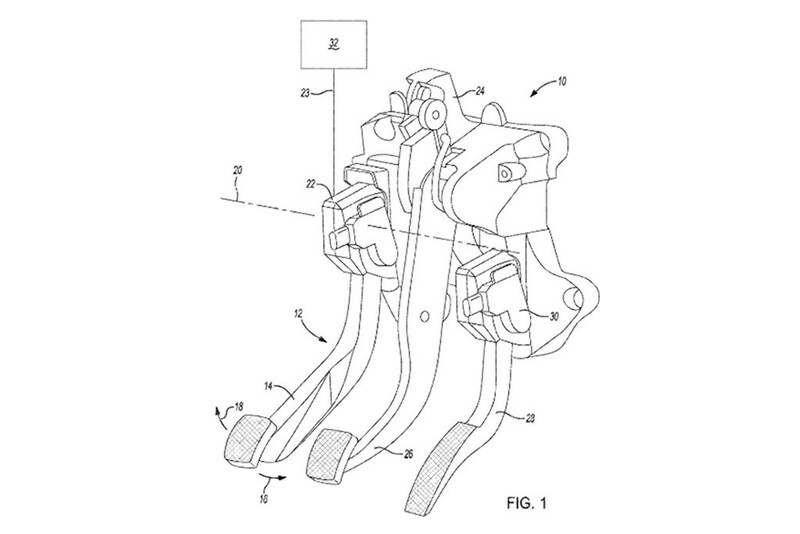 As the name suggests, the system would replace the mechanical or hydraulic ties between the clutch pedal and the throw-out fork with a pedal position sensor and an electrically-actuated throw-out mechanism. 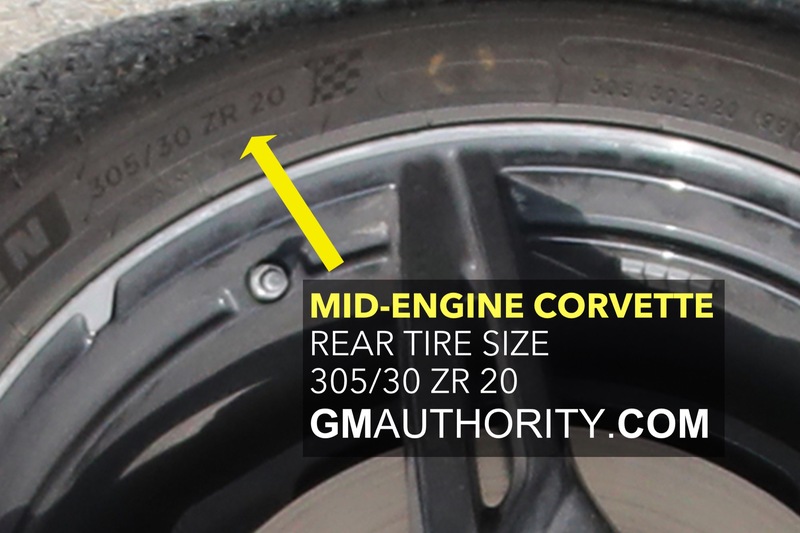 The patent was uncovered by journalist and tuner Bozi Tatarevic who, writing for Jalopnik, suggests that the most useful application for such a system might be a vehicle in which the engine and transmission are behind the driver – as in the forthcoming mid-engine Chevrolet Corvette. 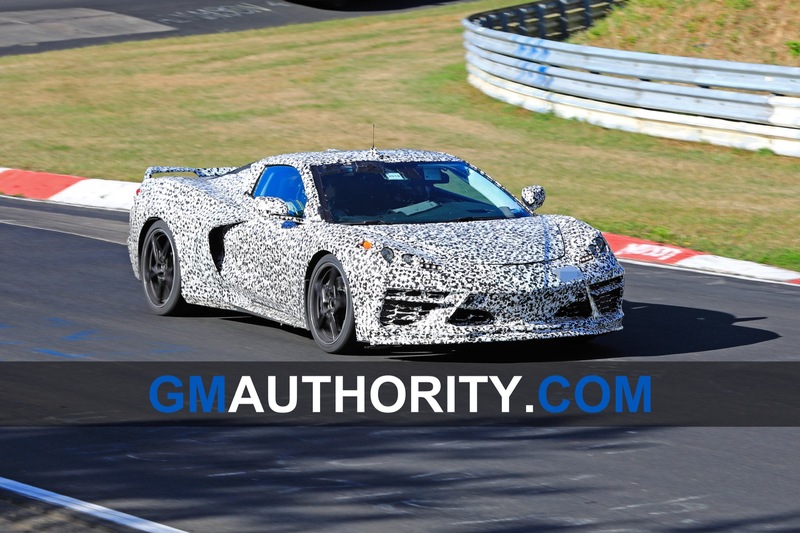 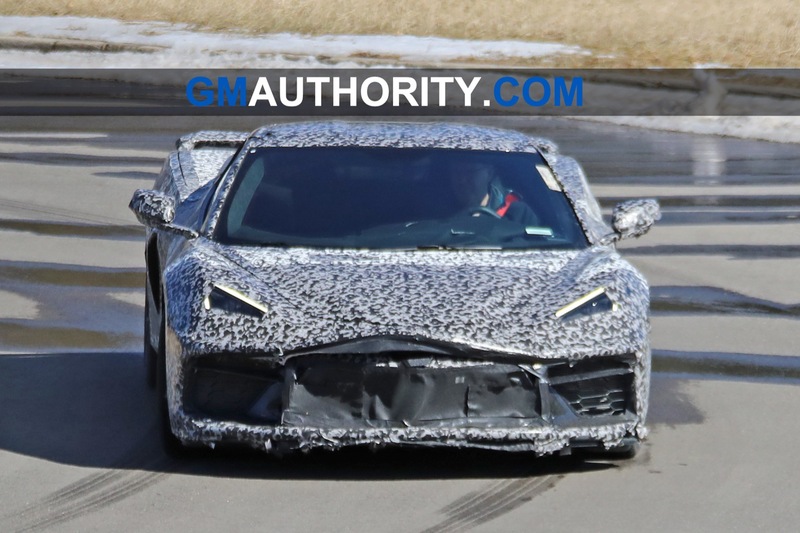 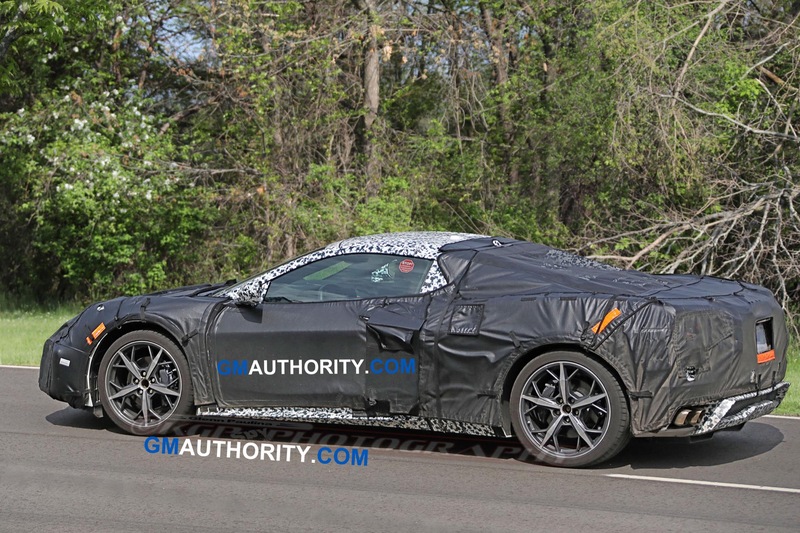 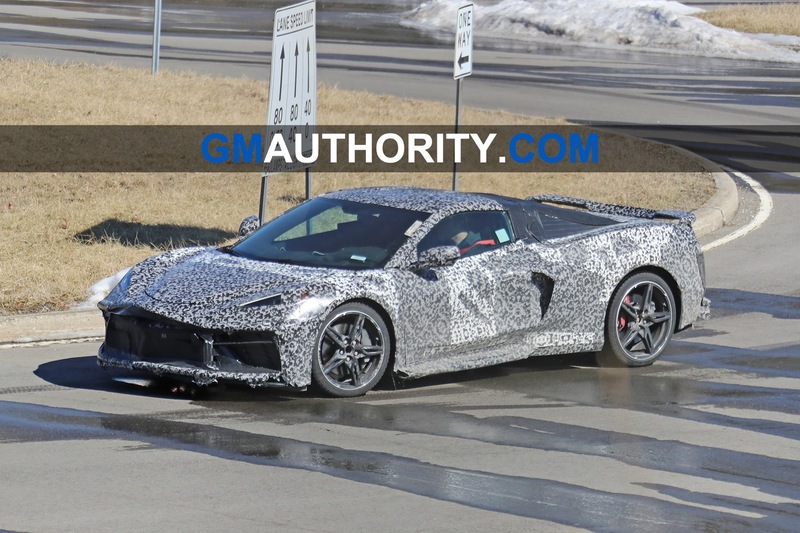 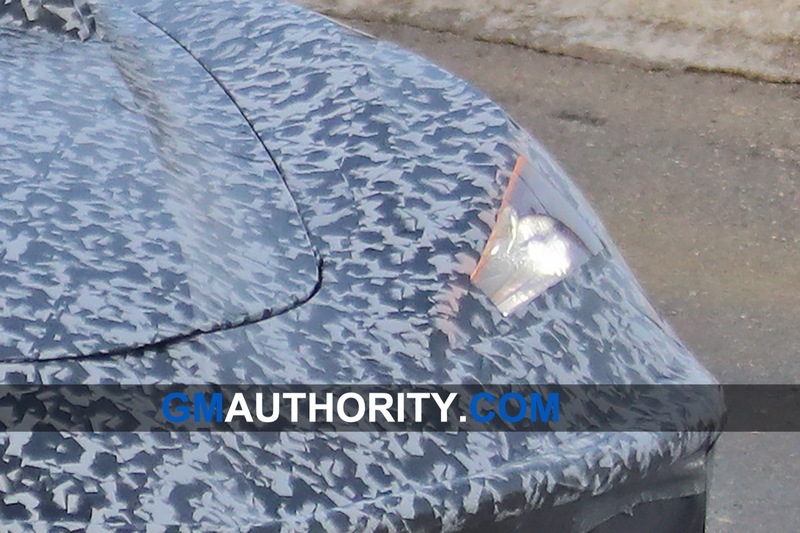 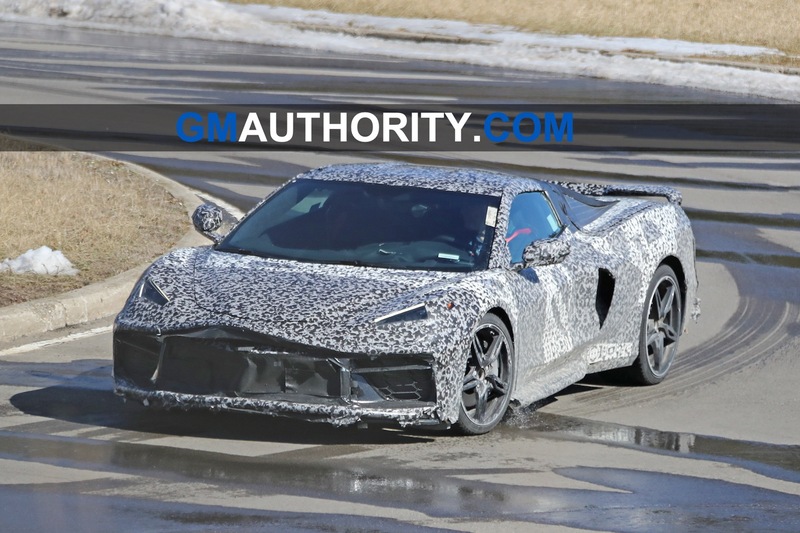 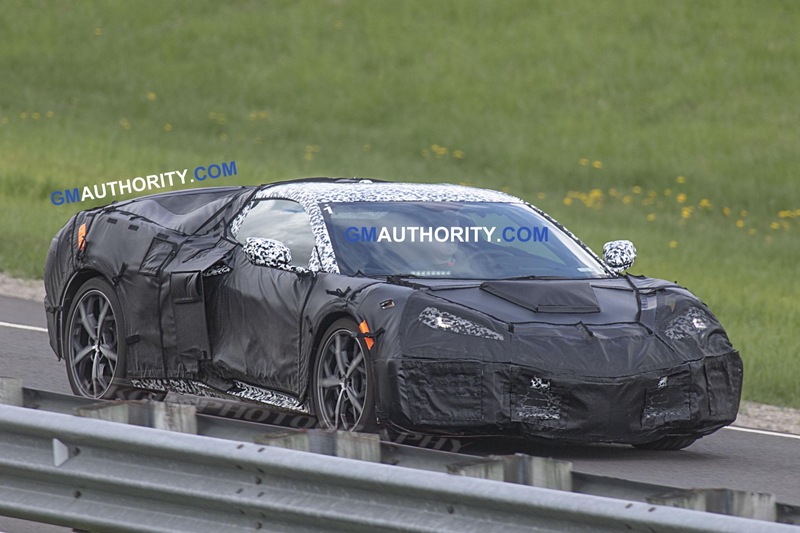 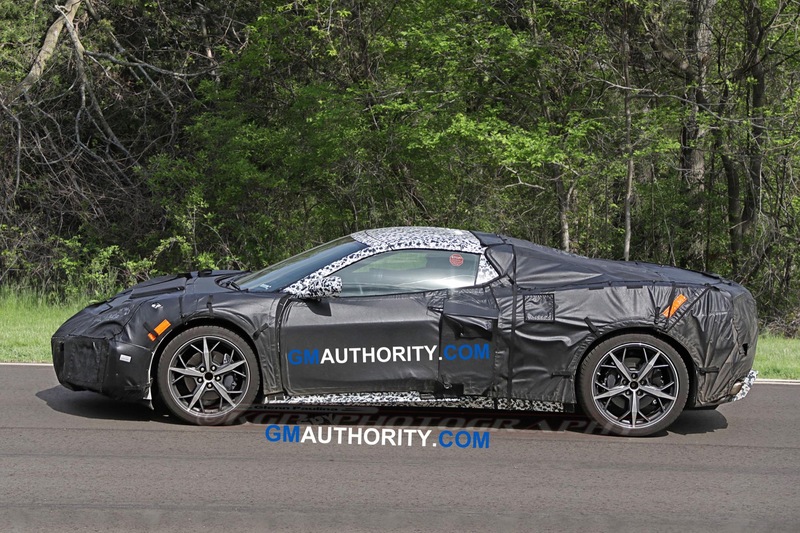 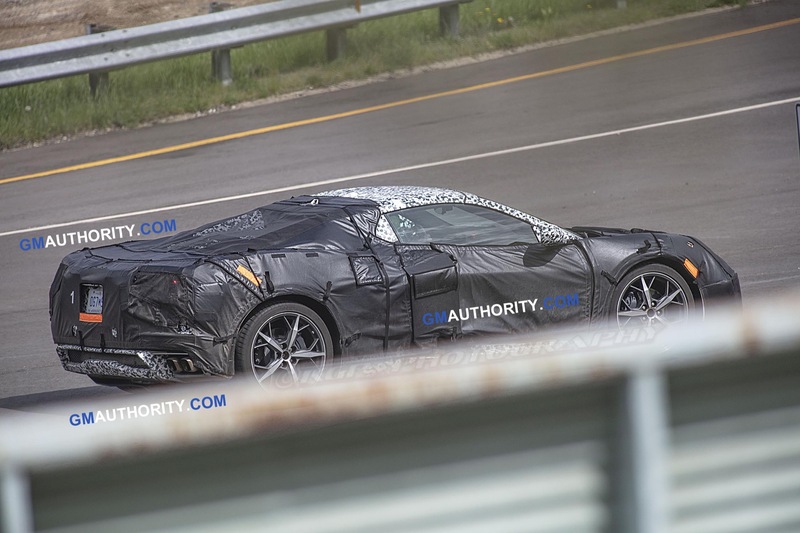 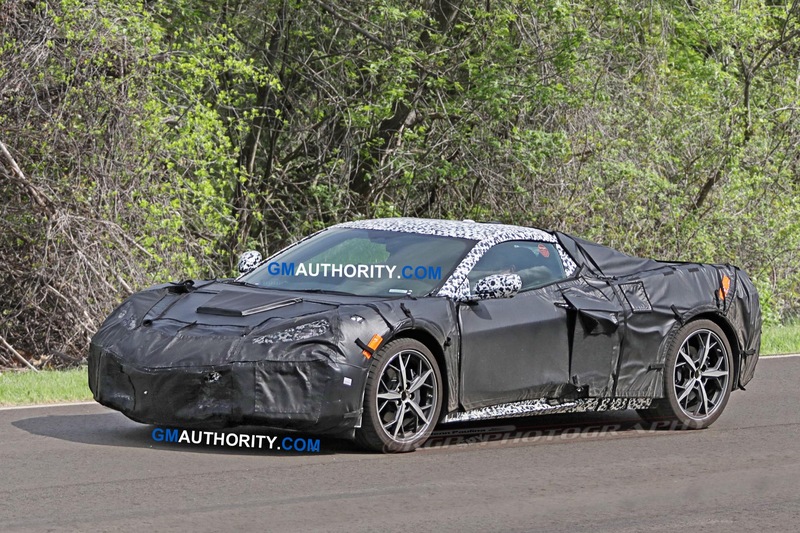 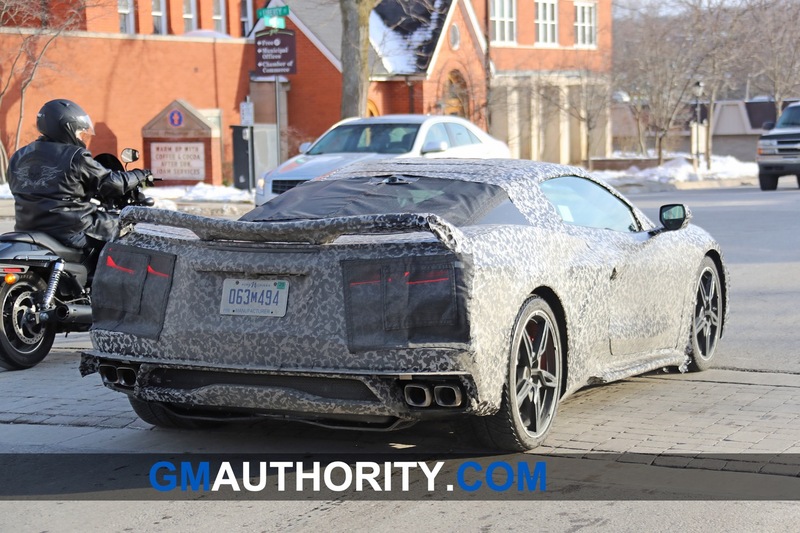 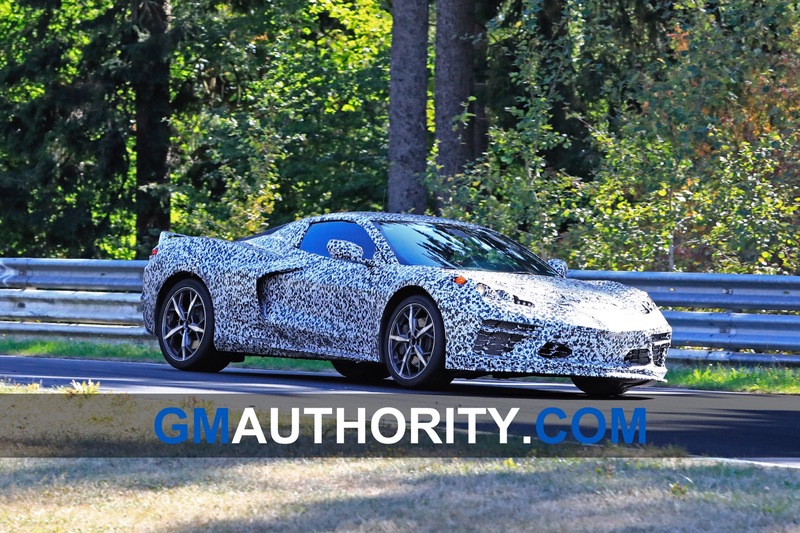 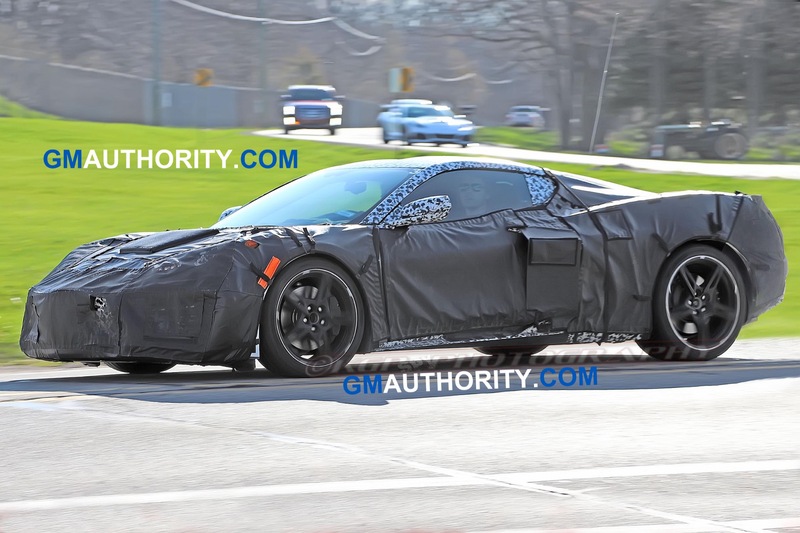 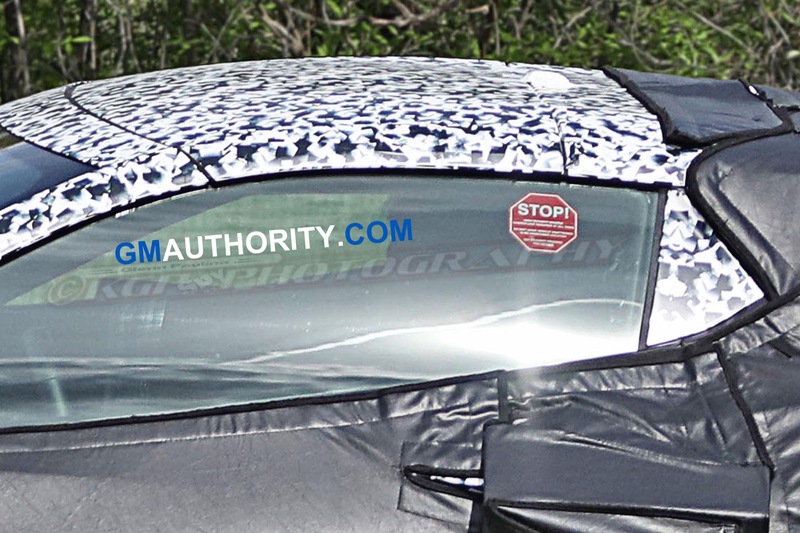 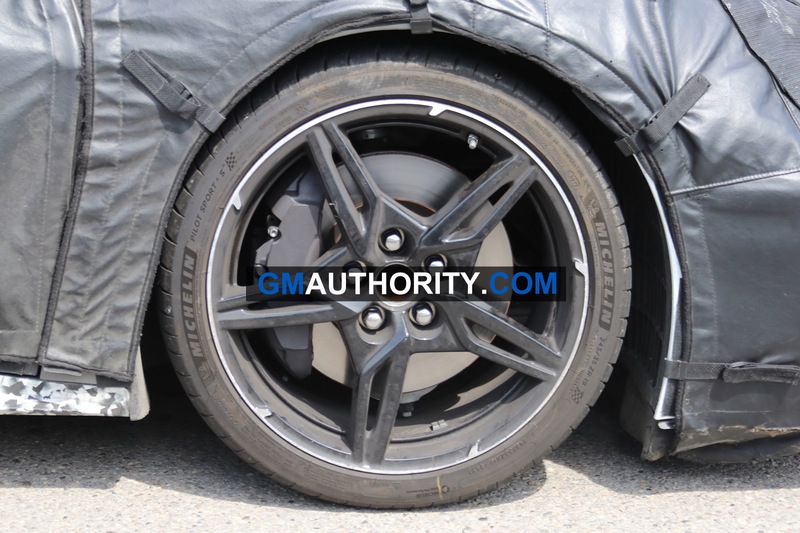 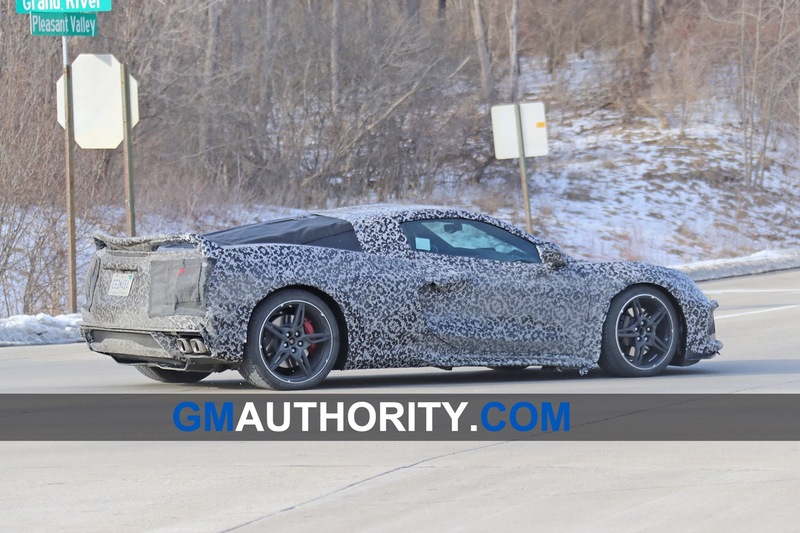 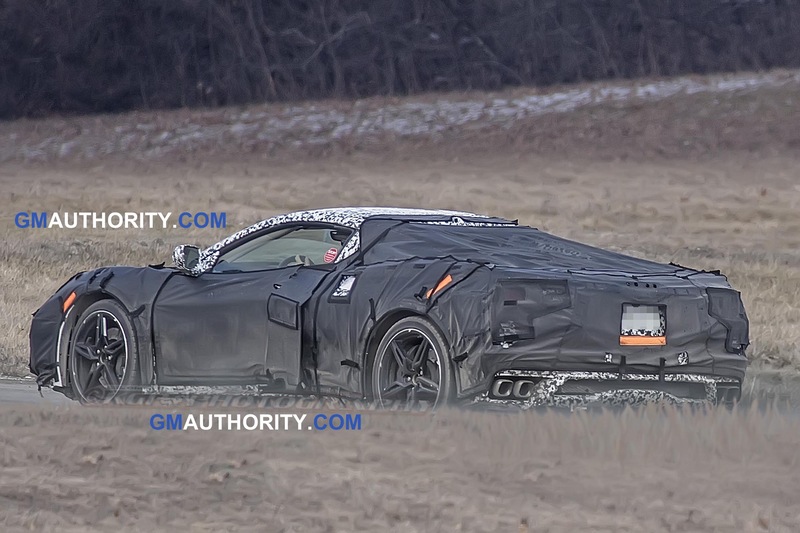 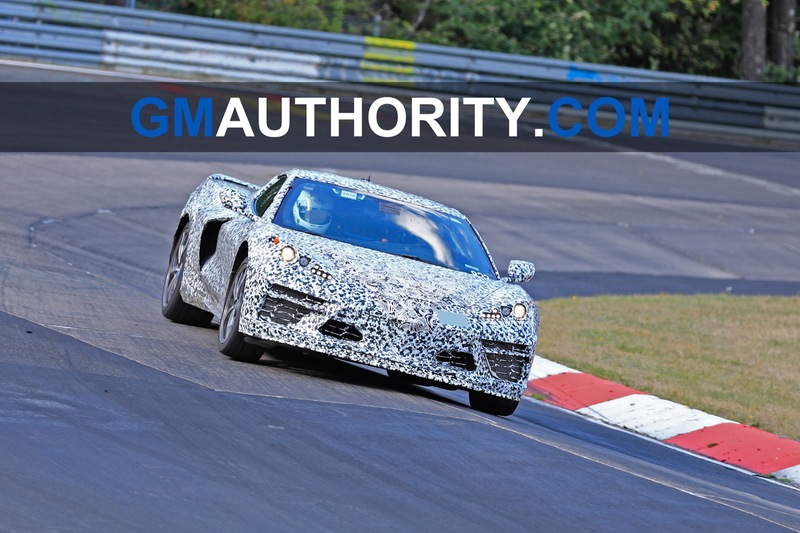 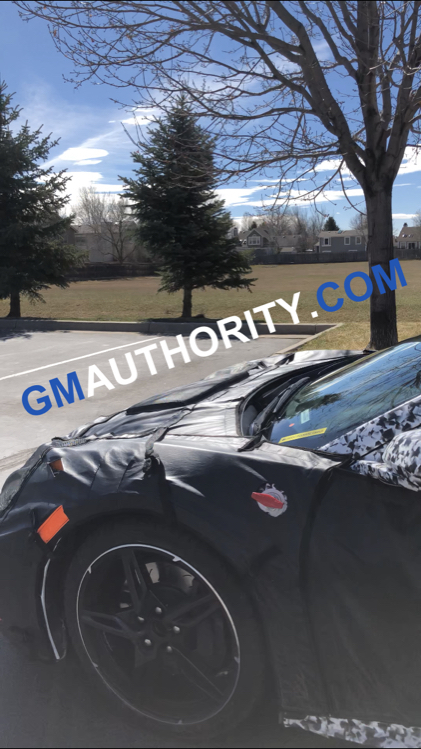 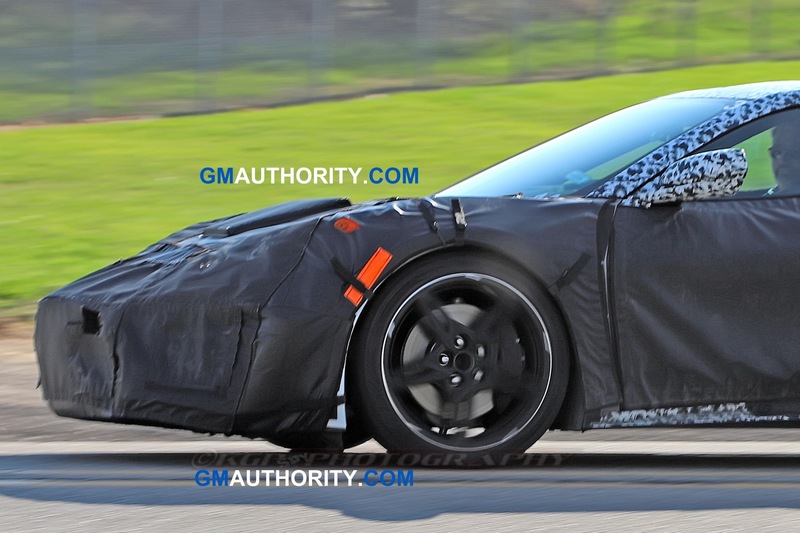 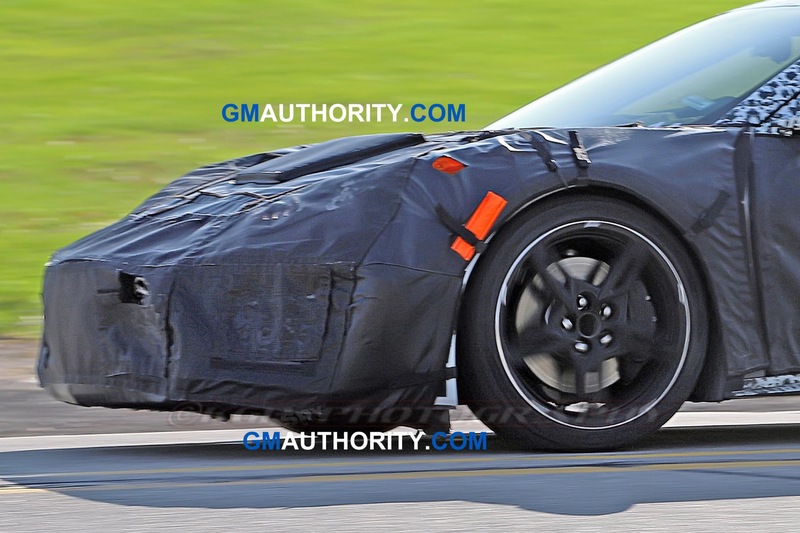 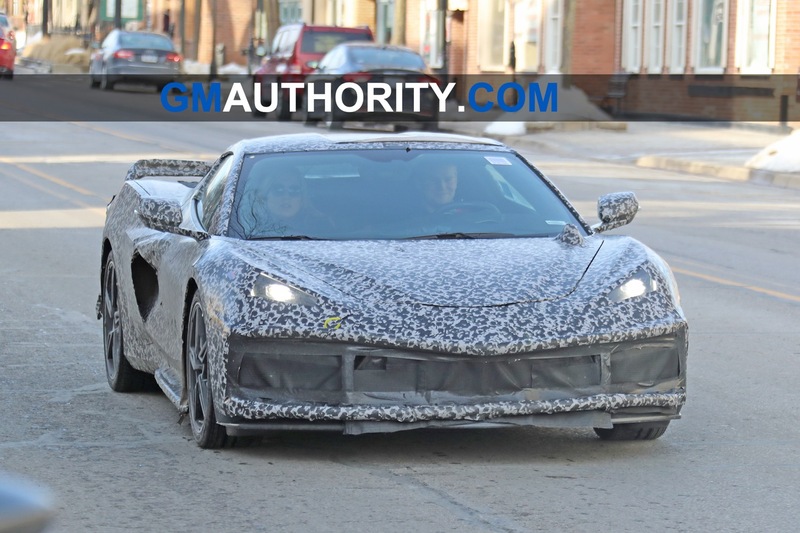 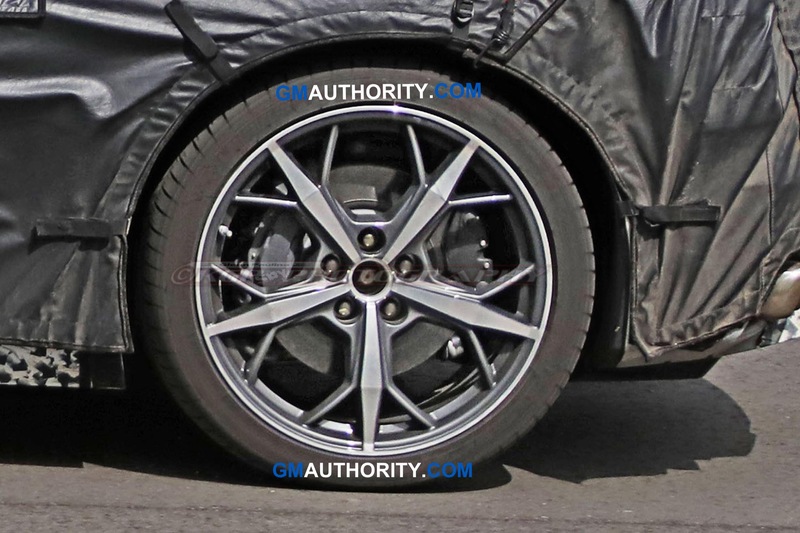 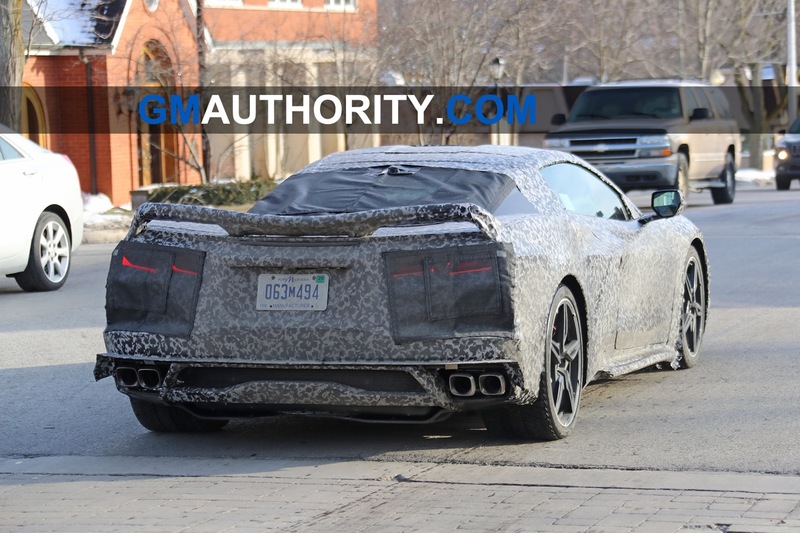 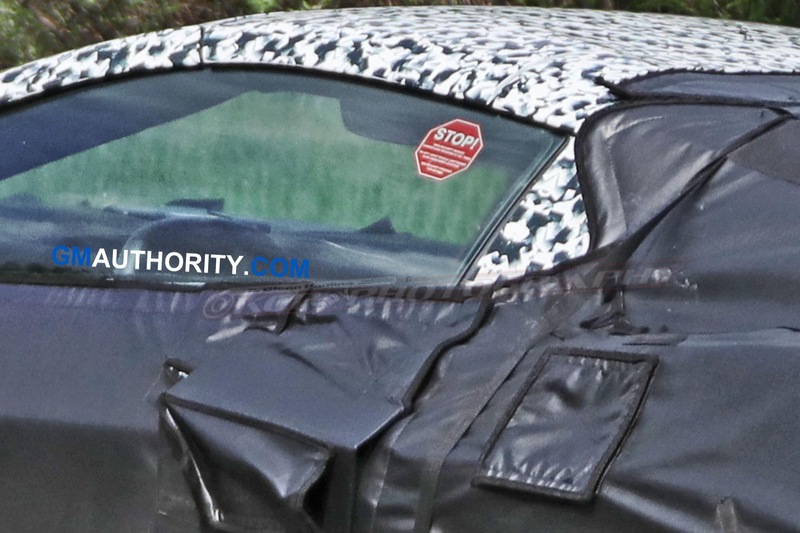 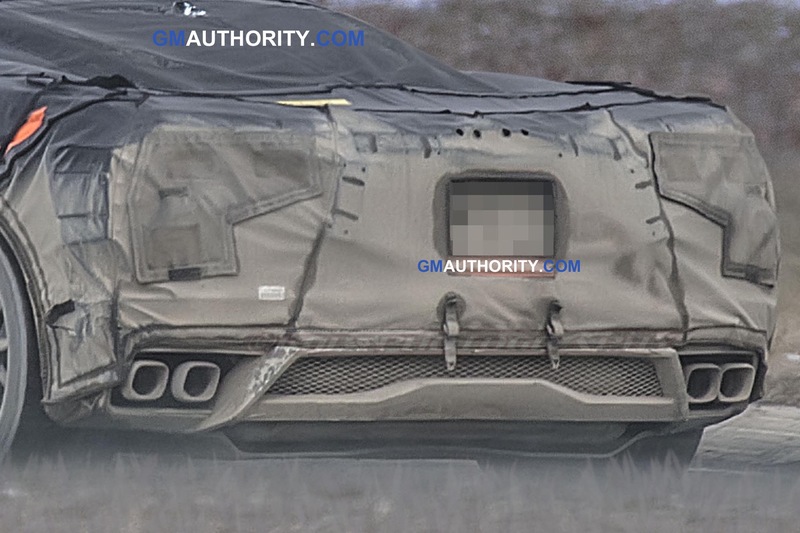 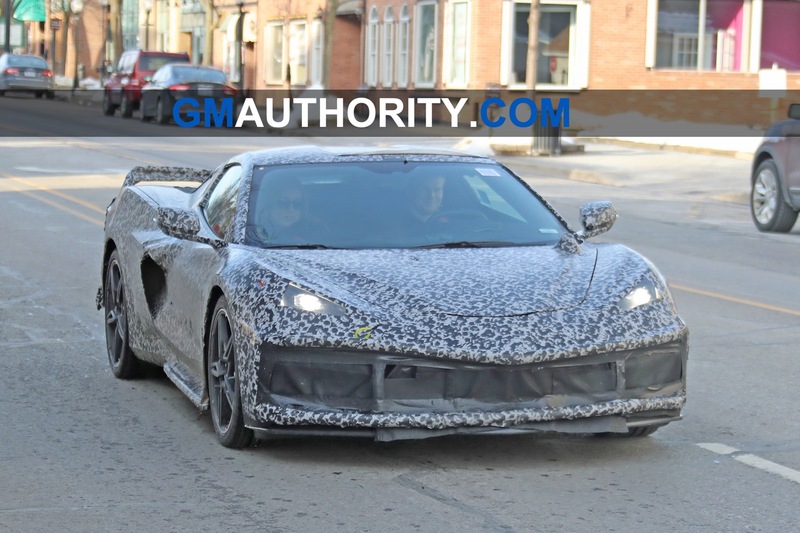 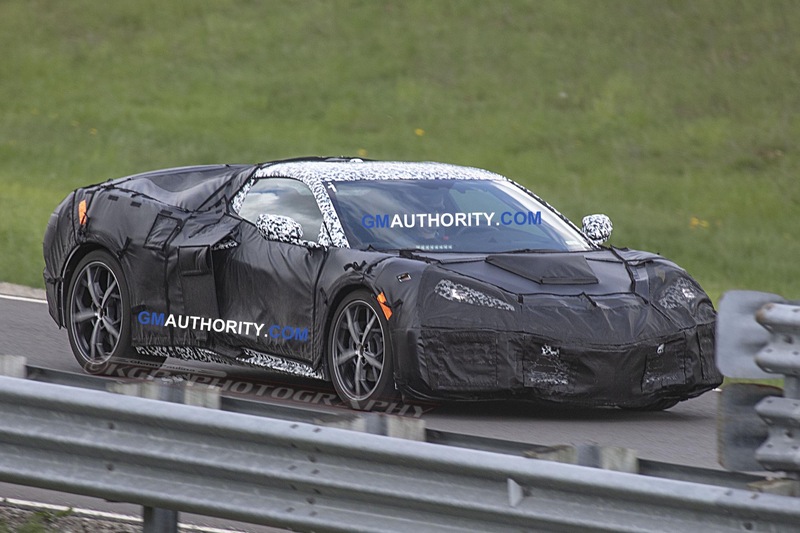 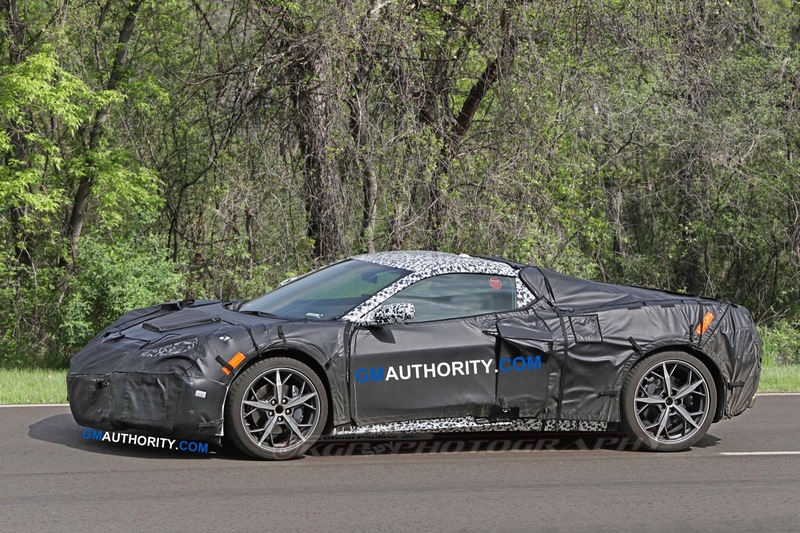 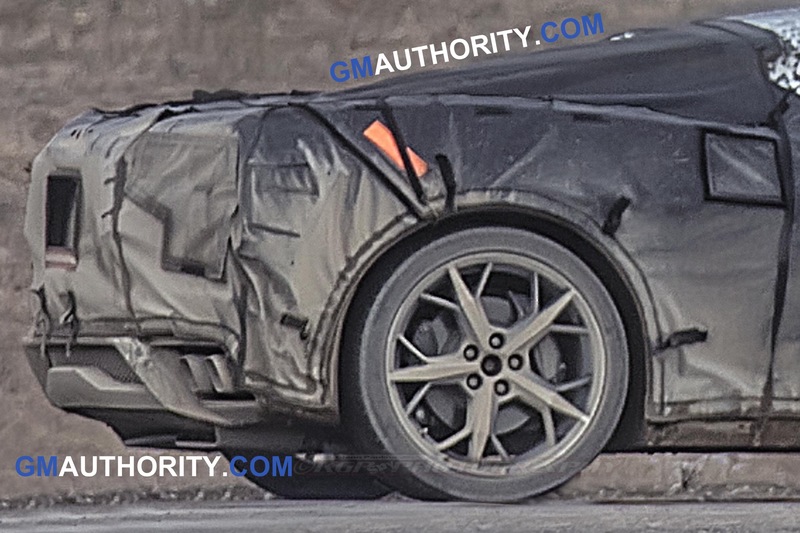 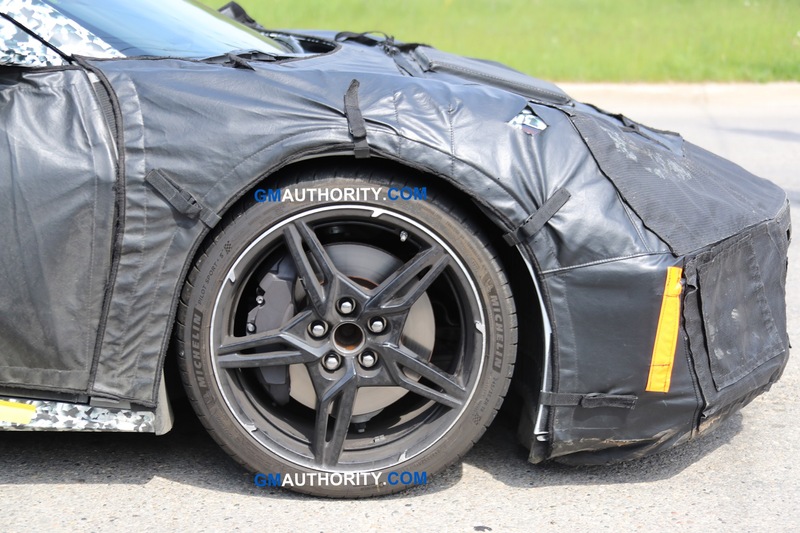 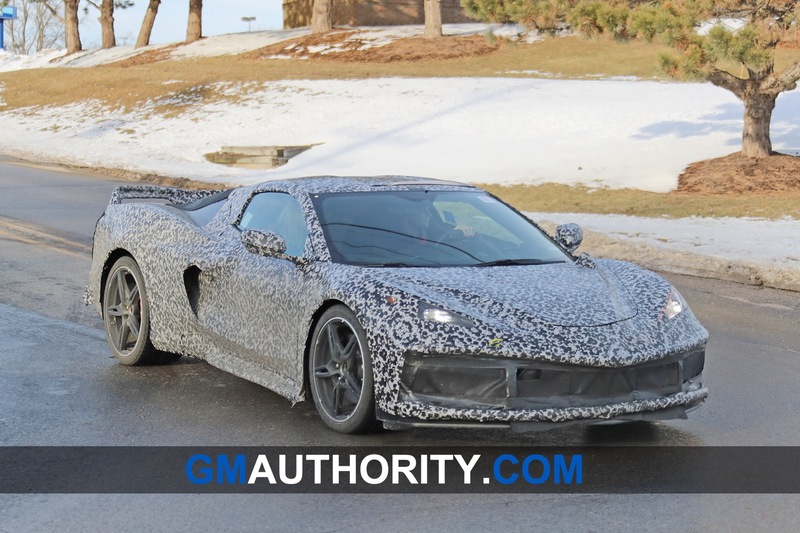 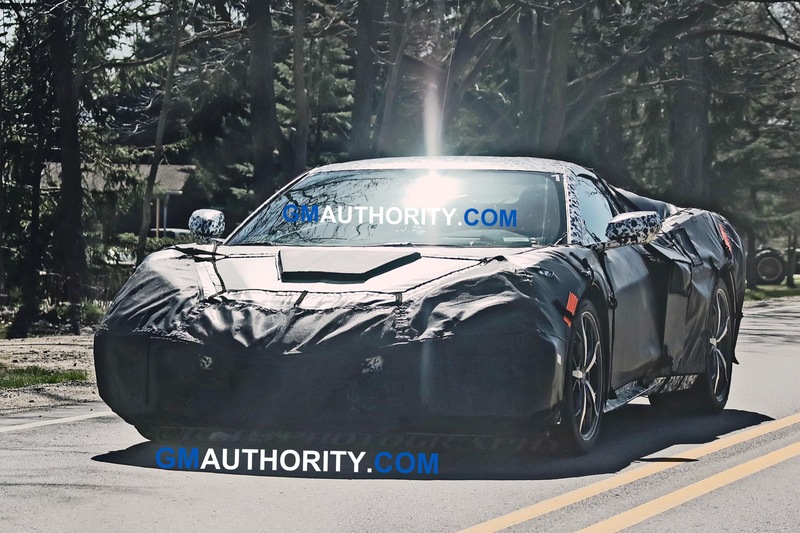 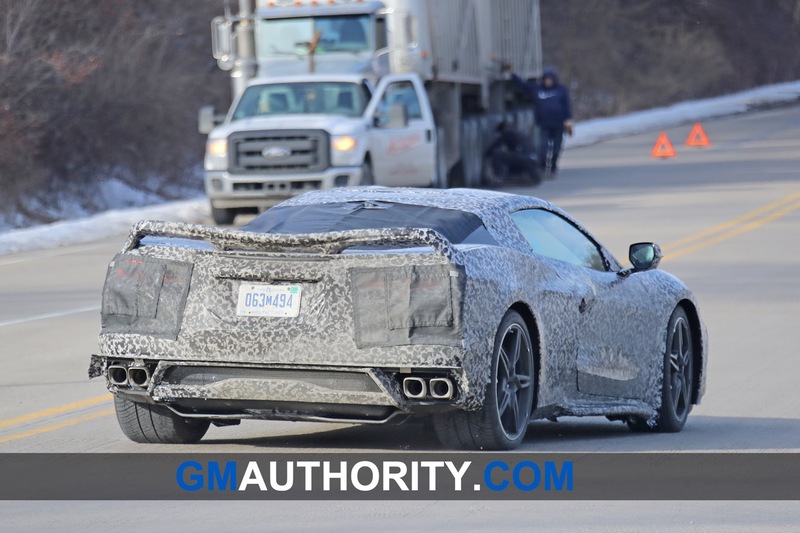 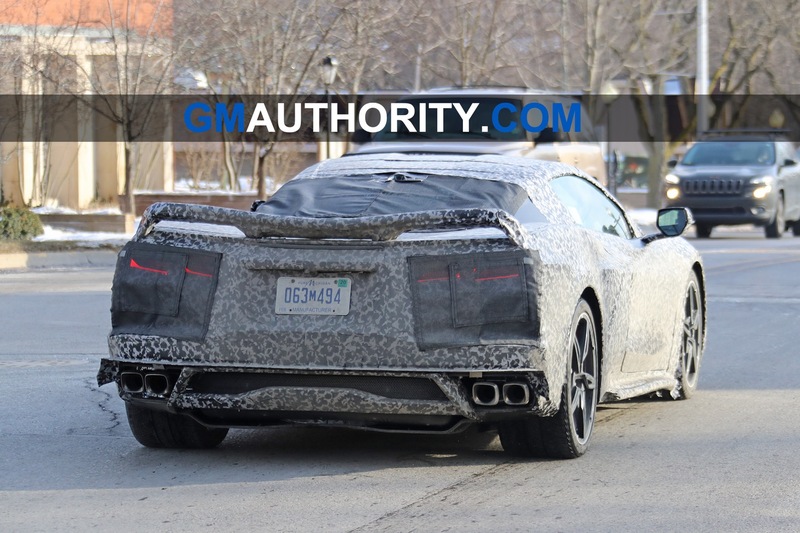 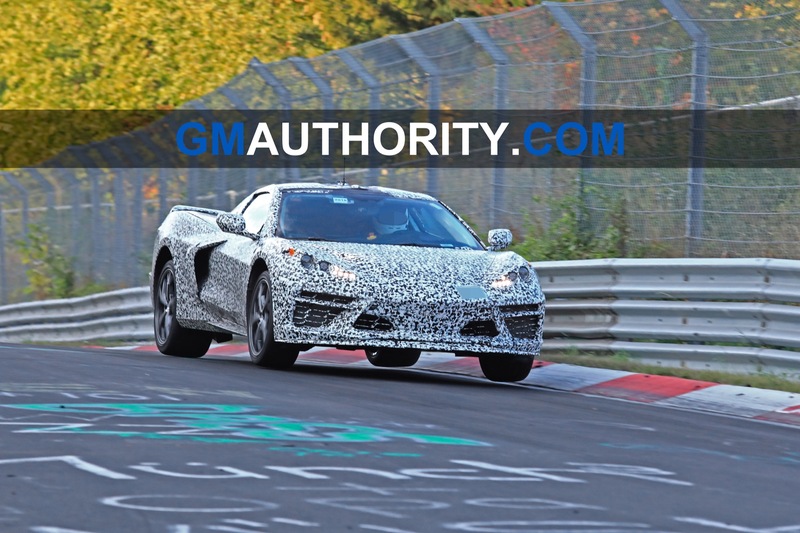 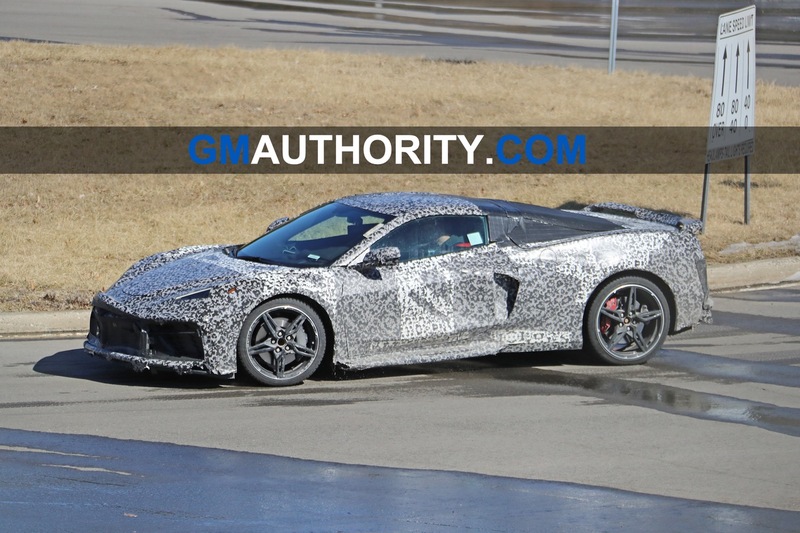 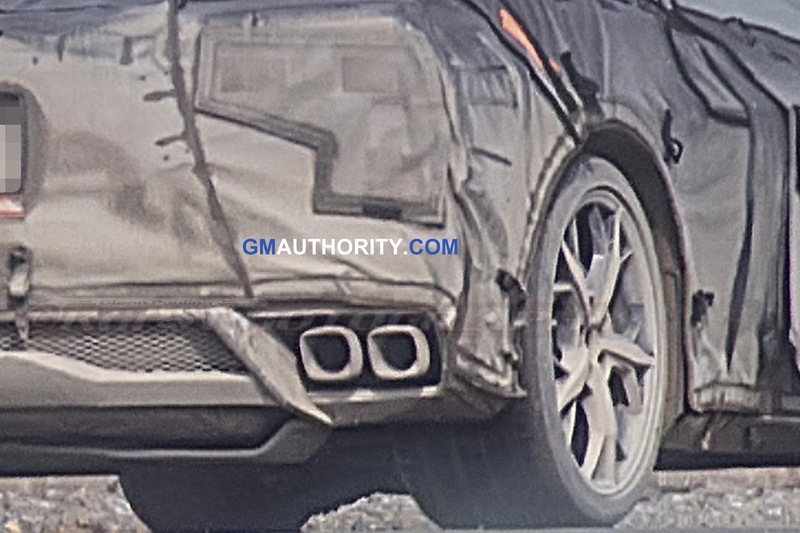 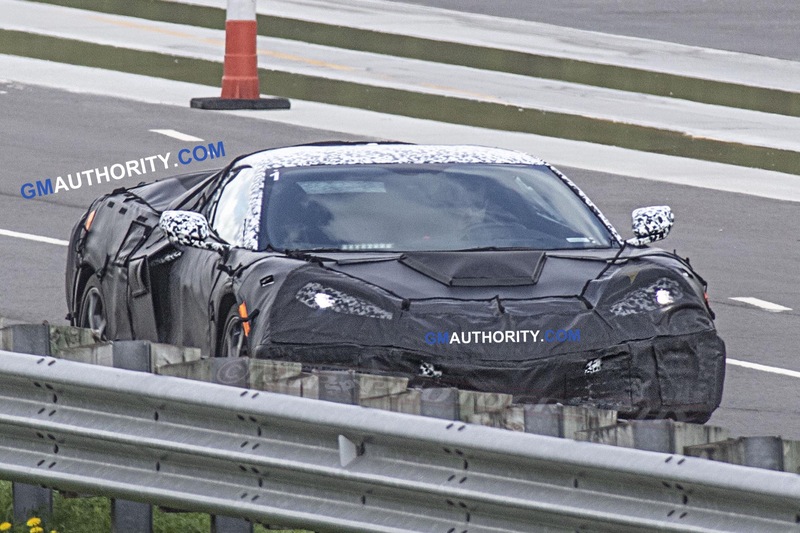 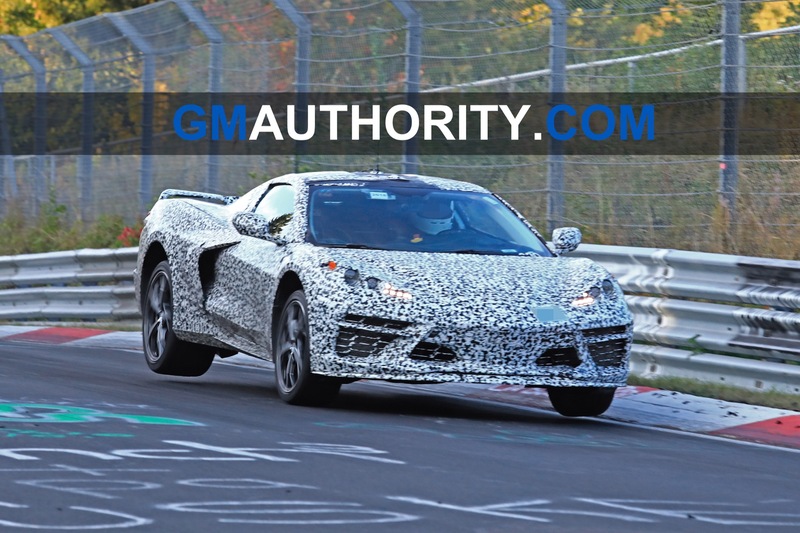 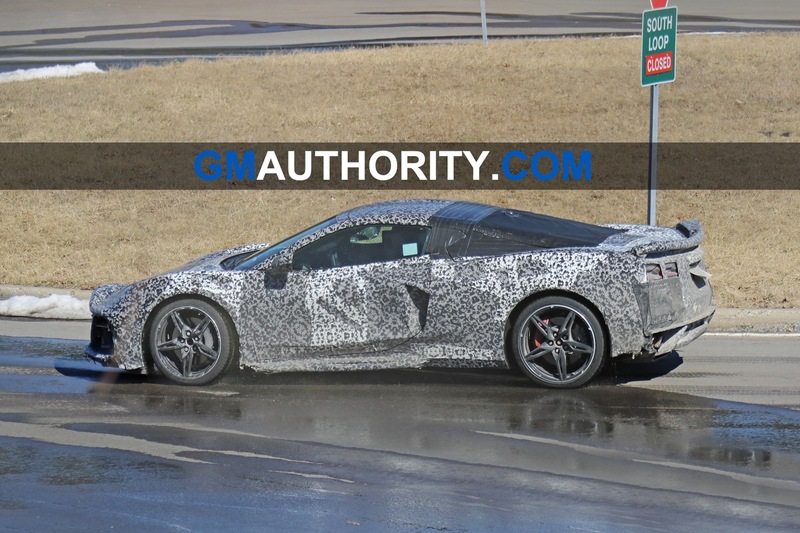 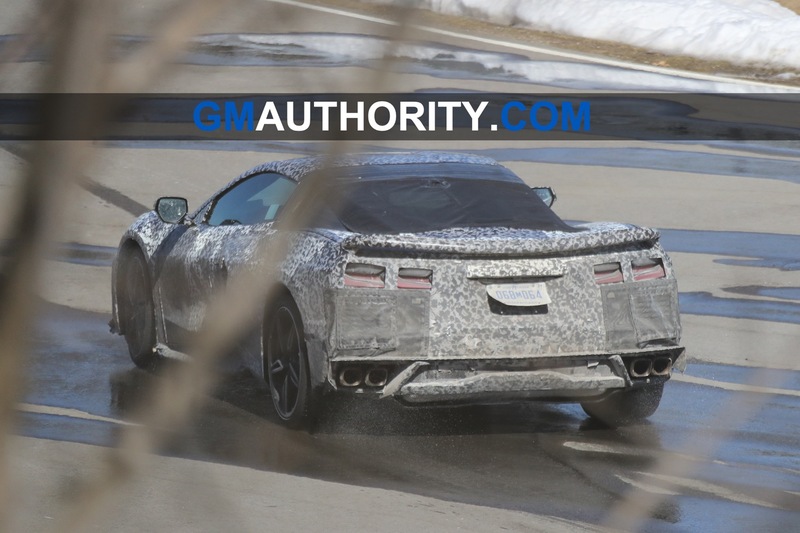 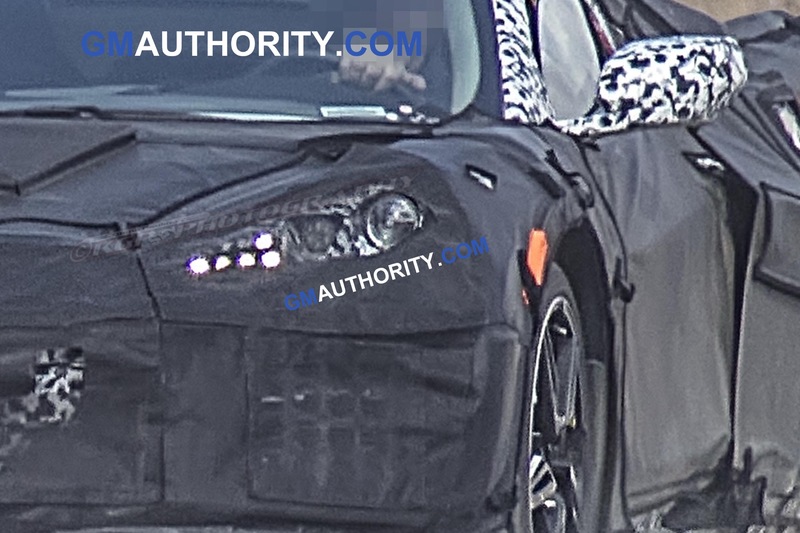 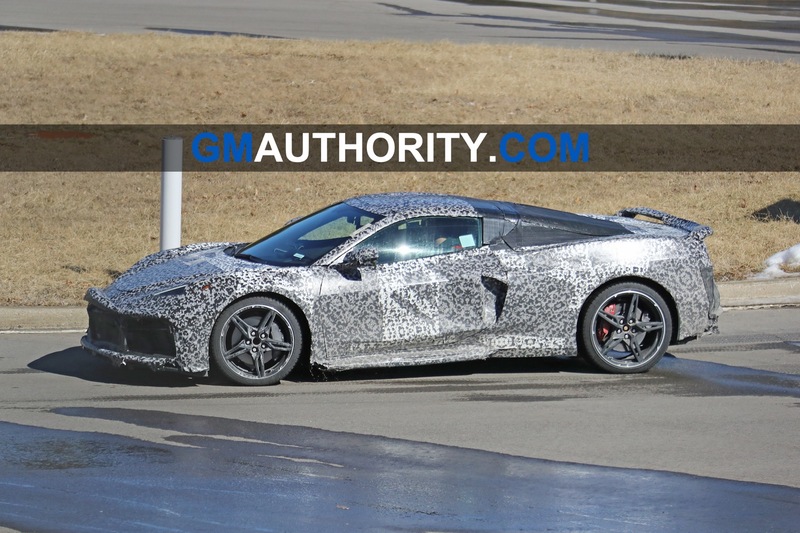 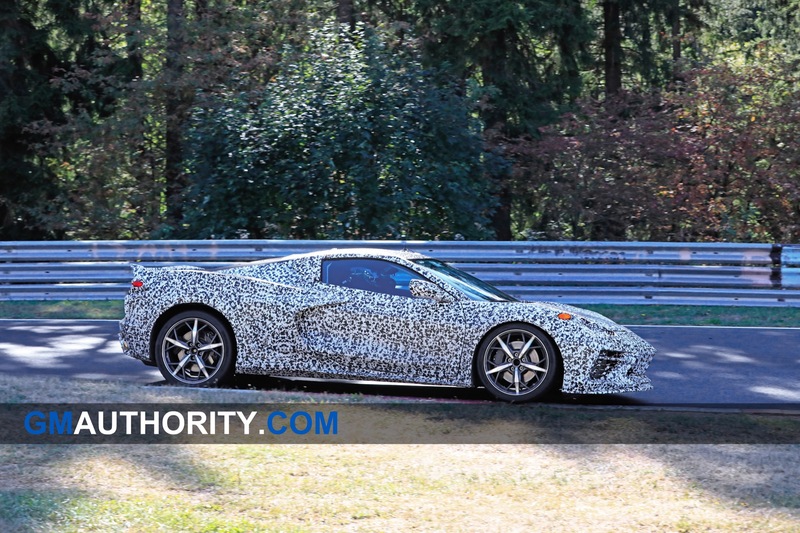 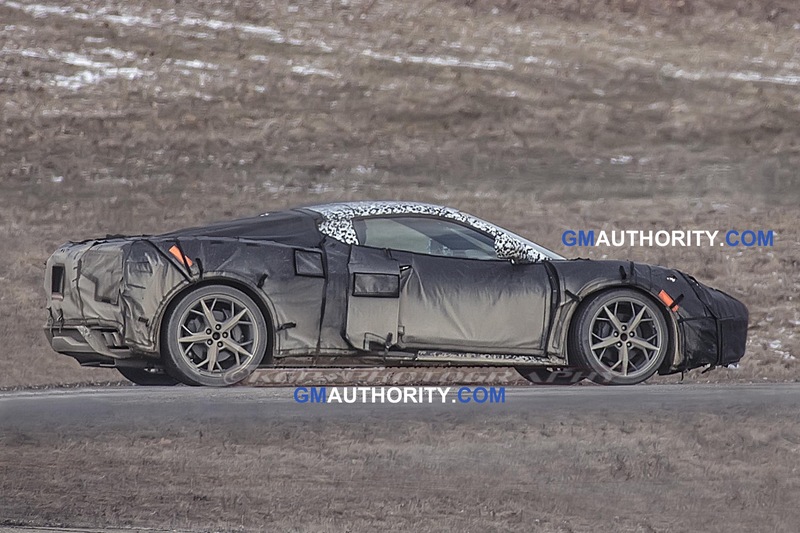 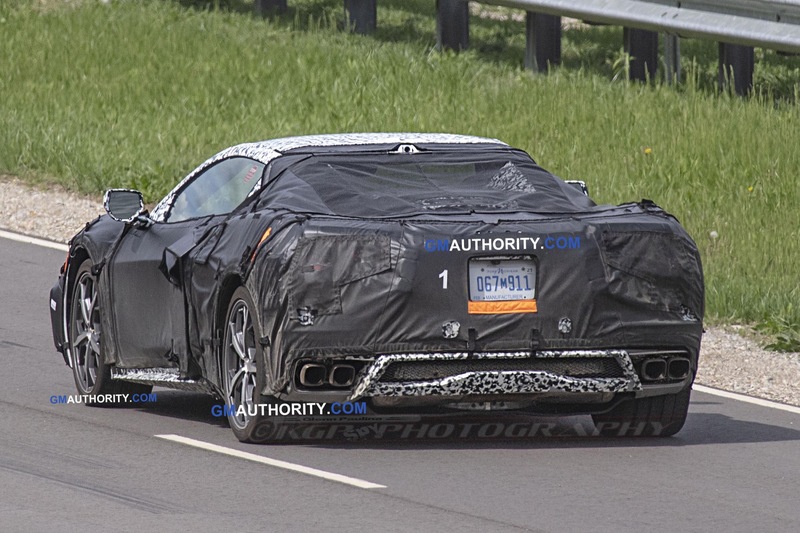 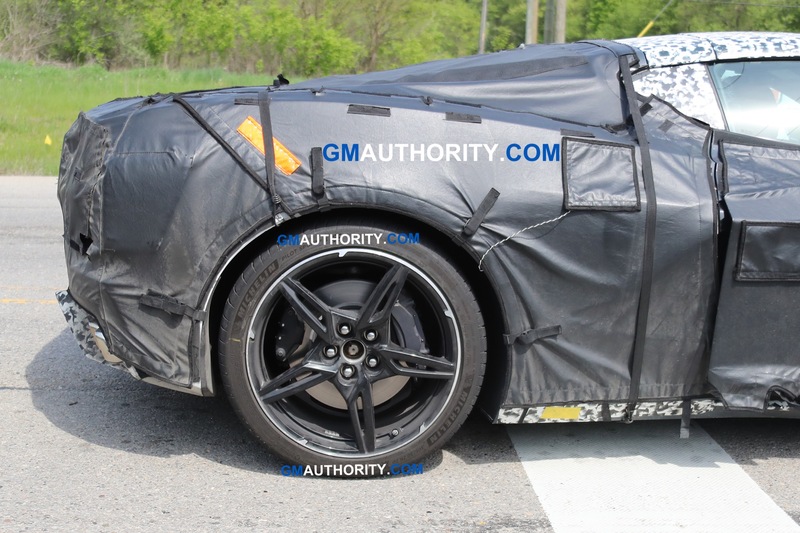 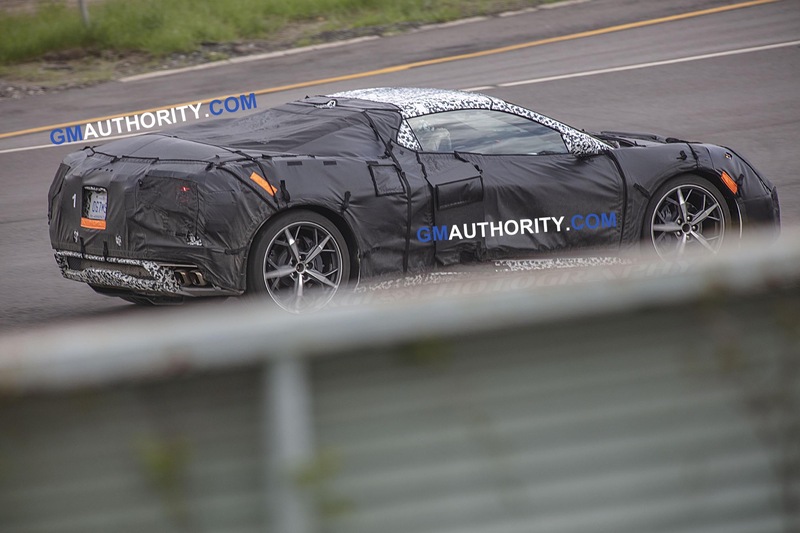 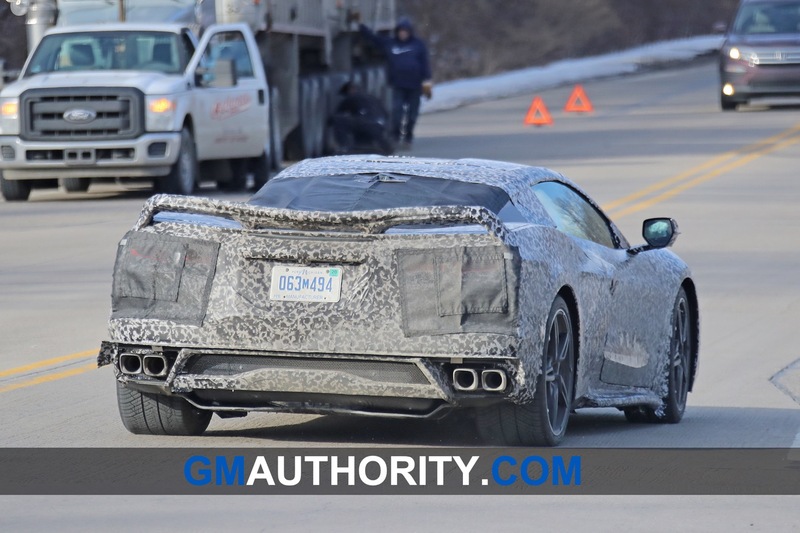 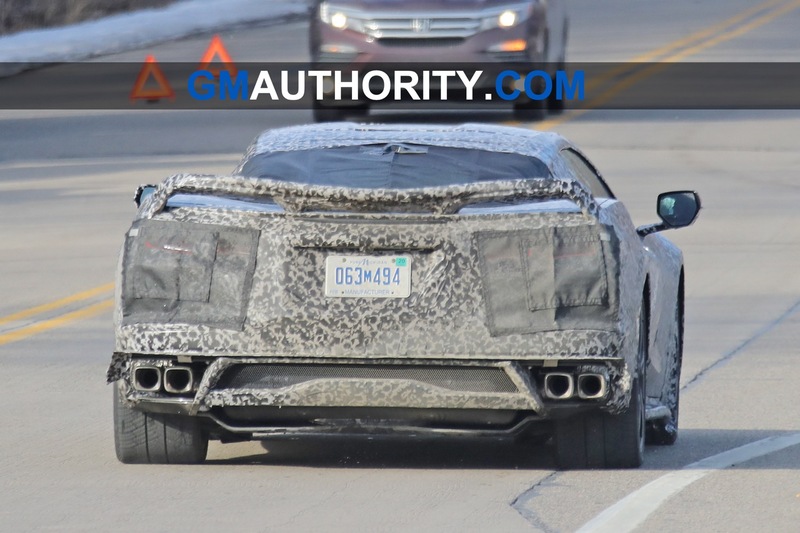 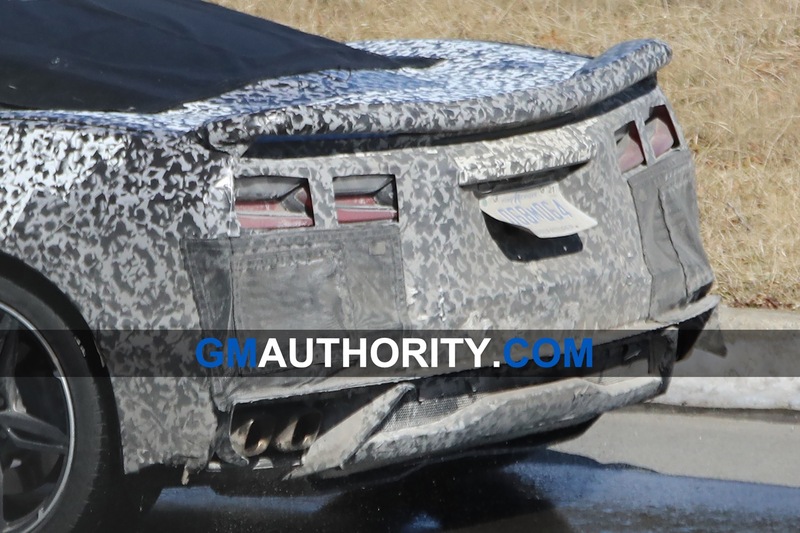 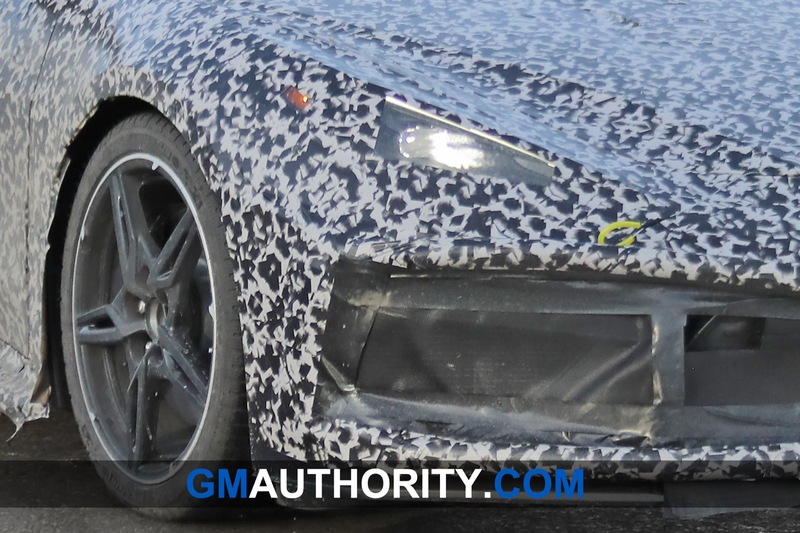 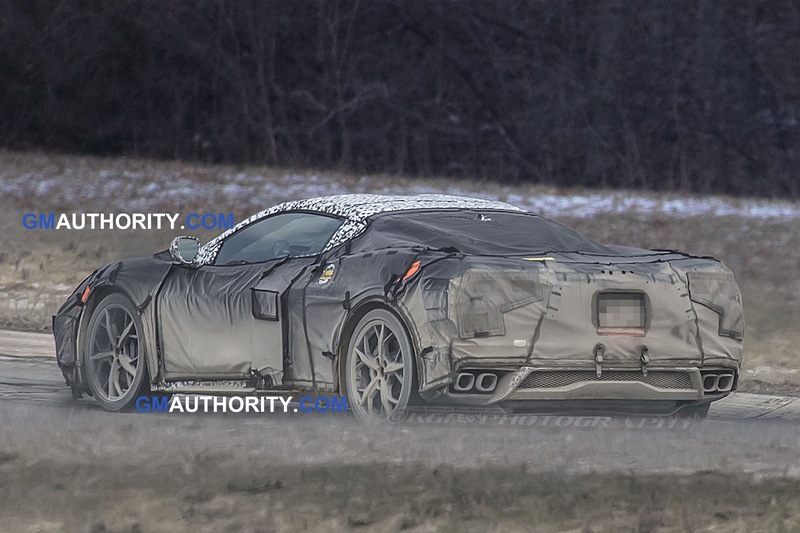 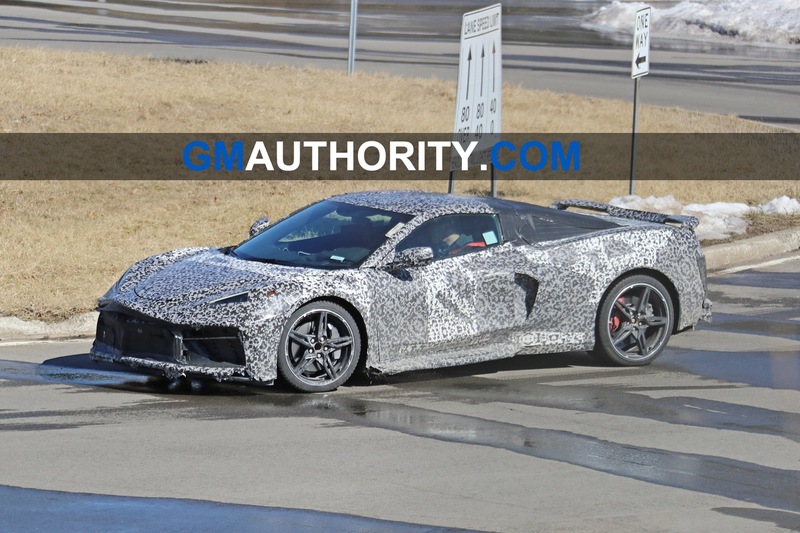 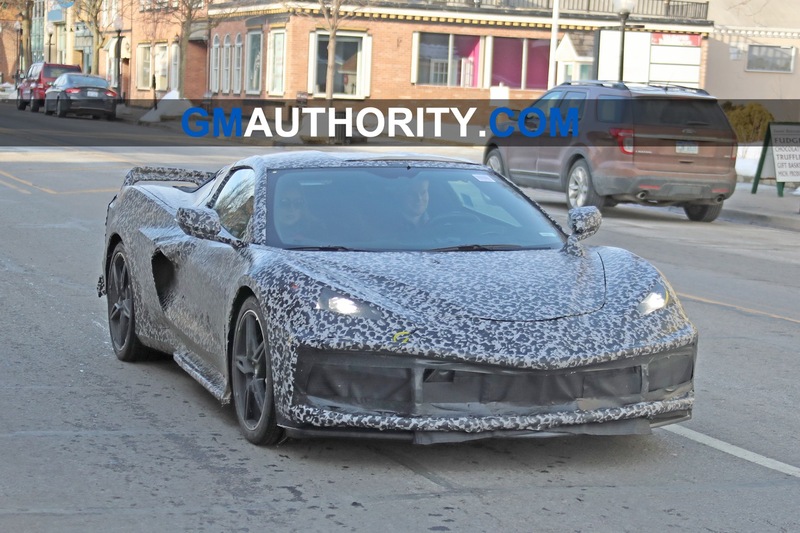 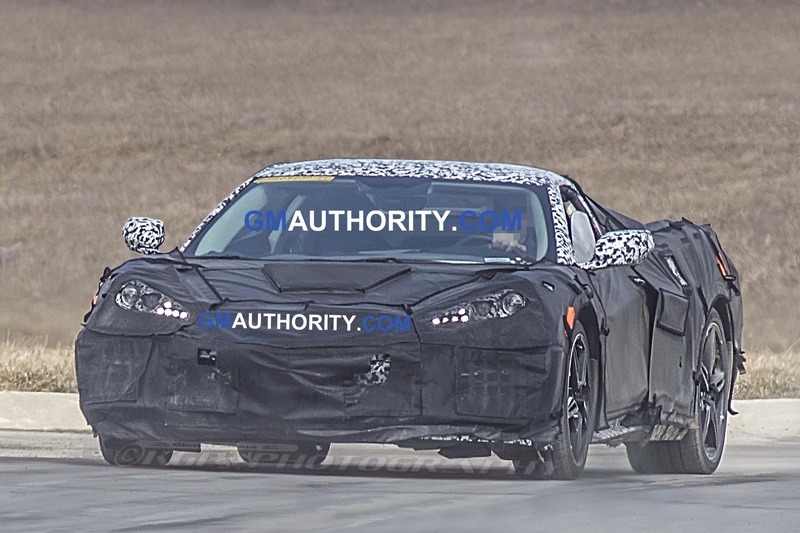 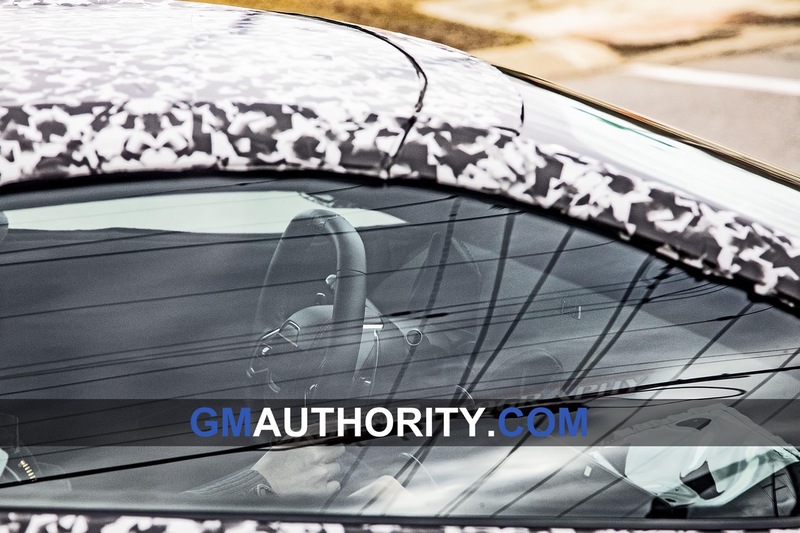 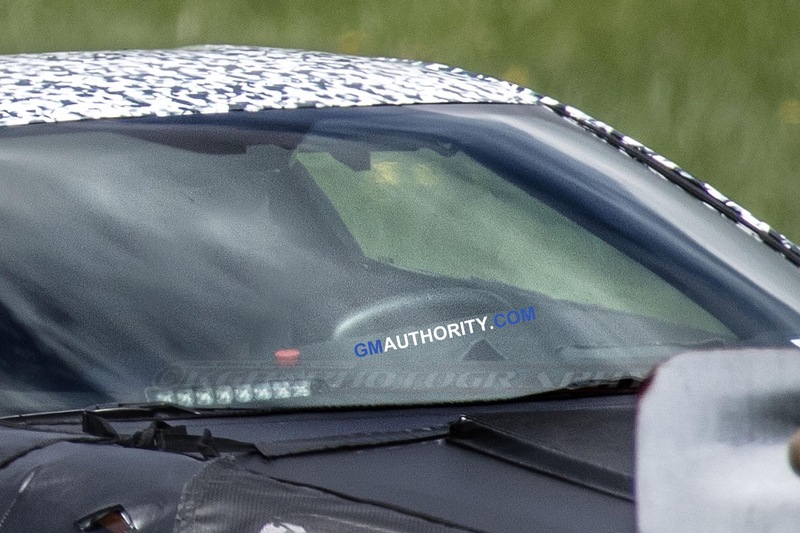 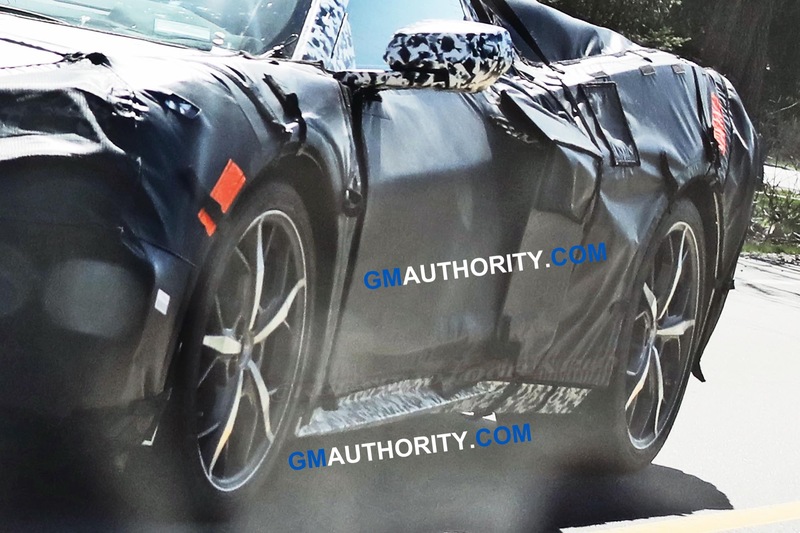 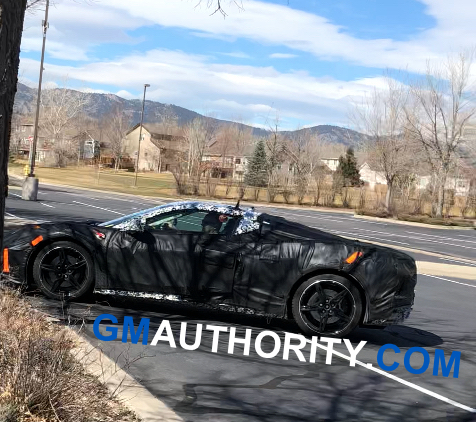 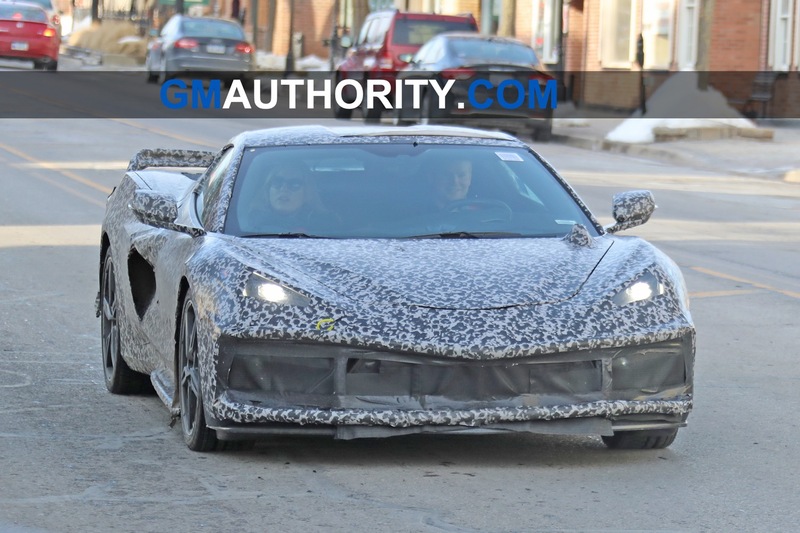 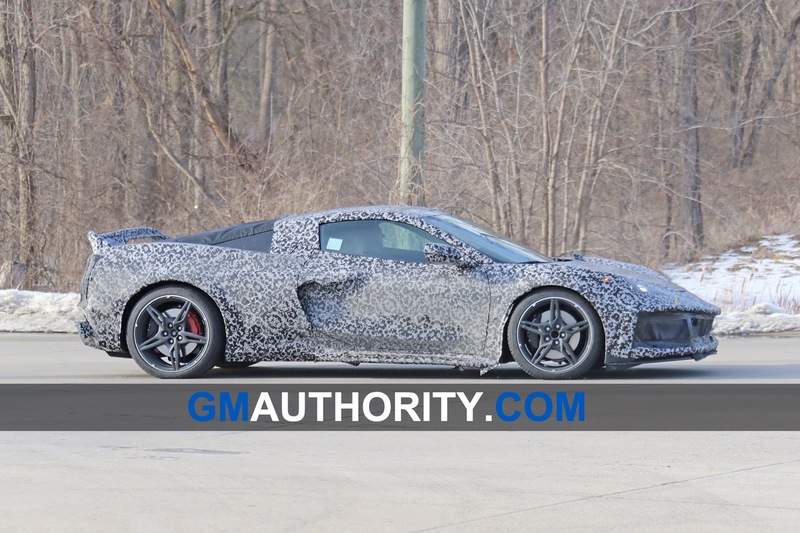 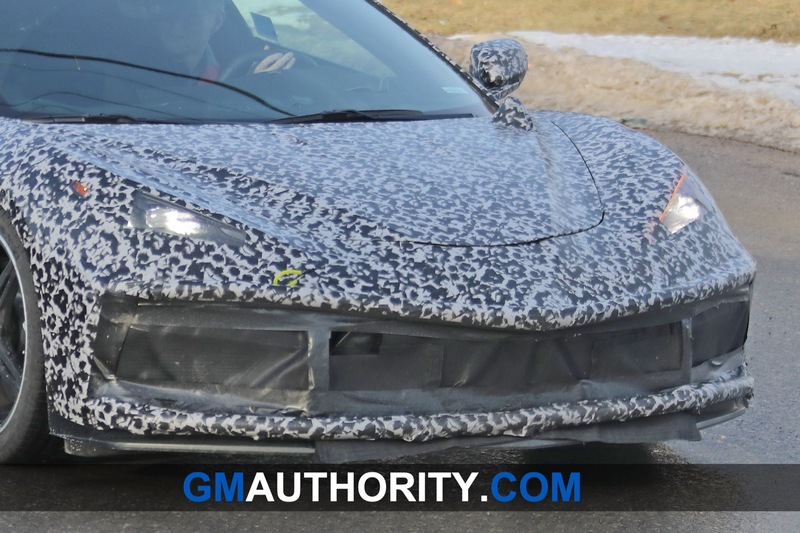 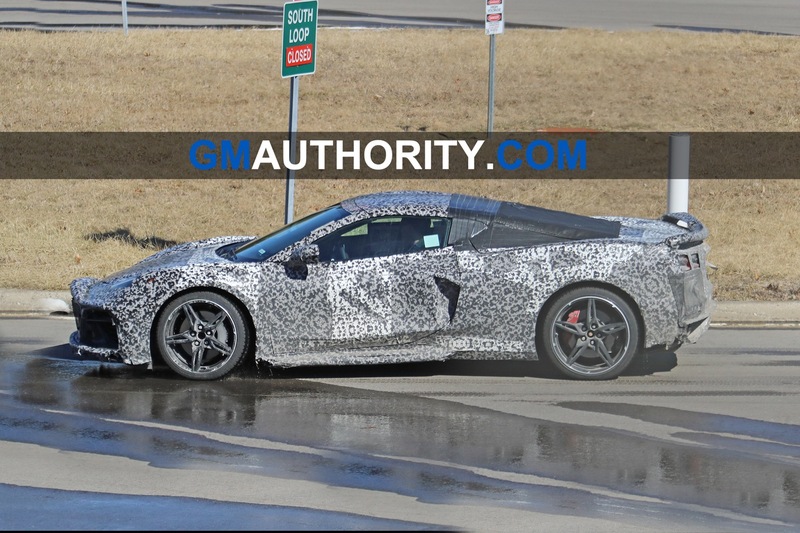 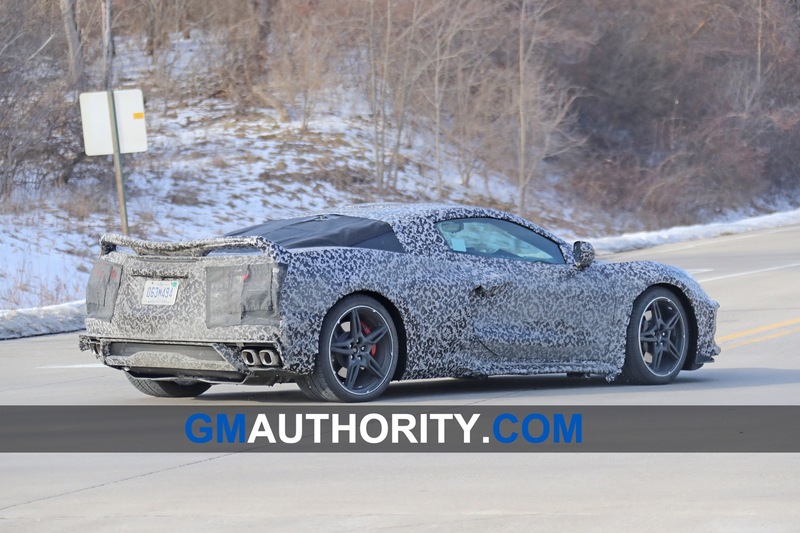 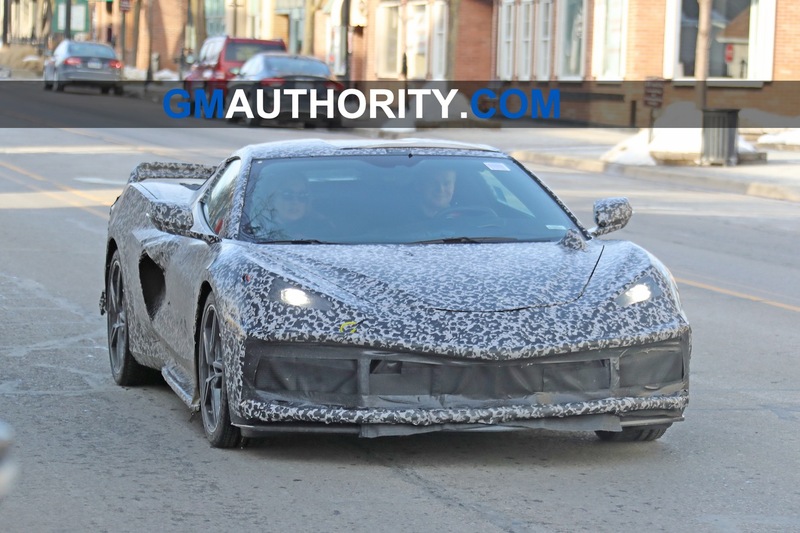 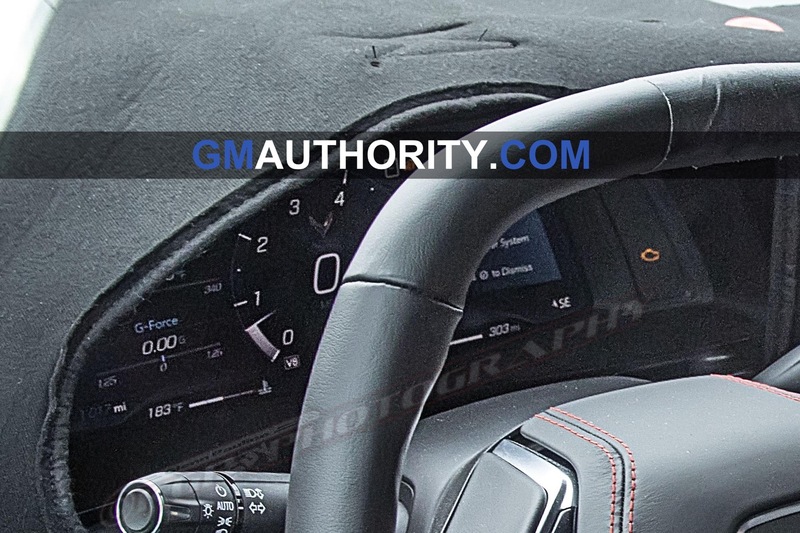 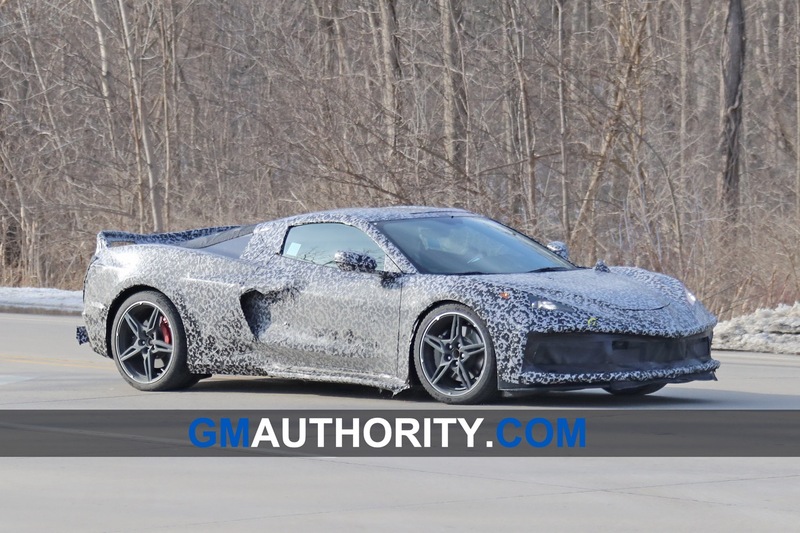 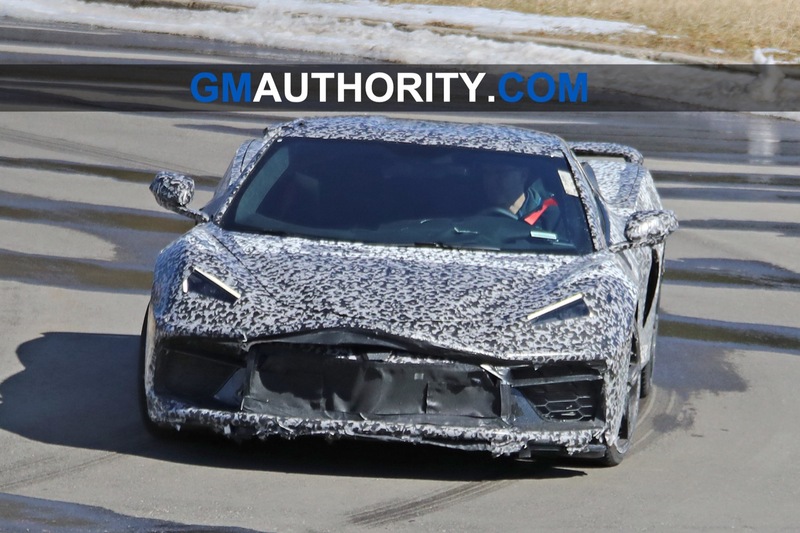 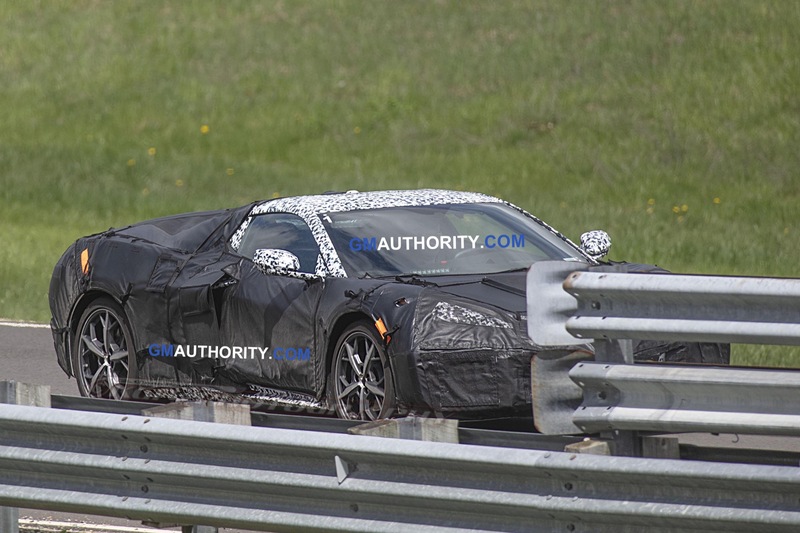 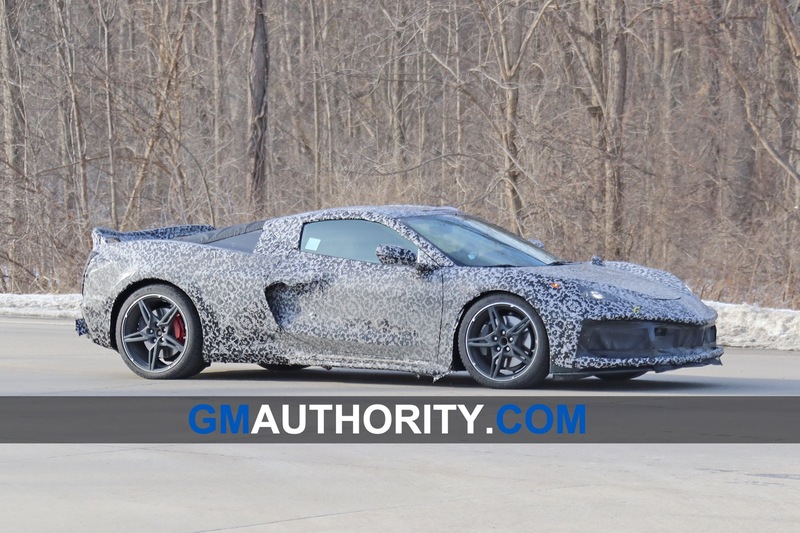 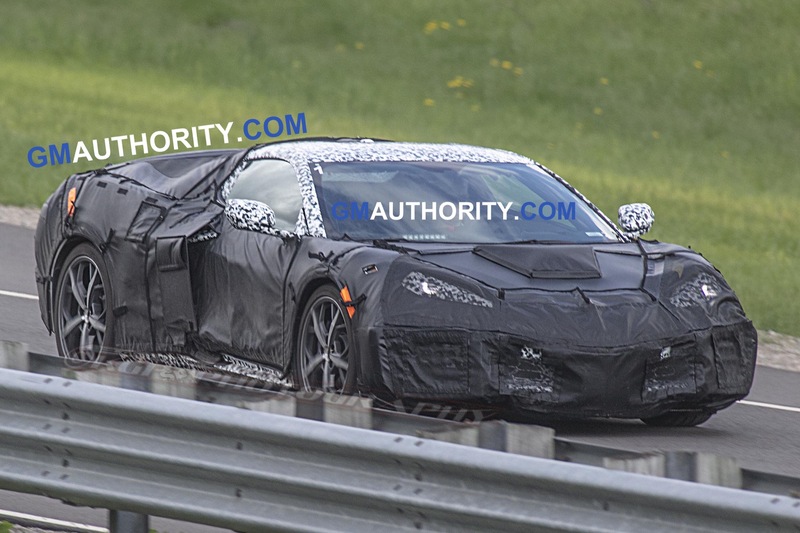 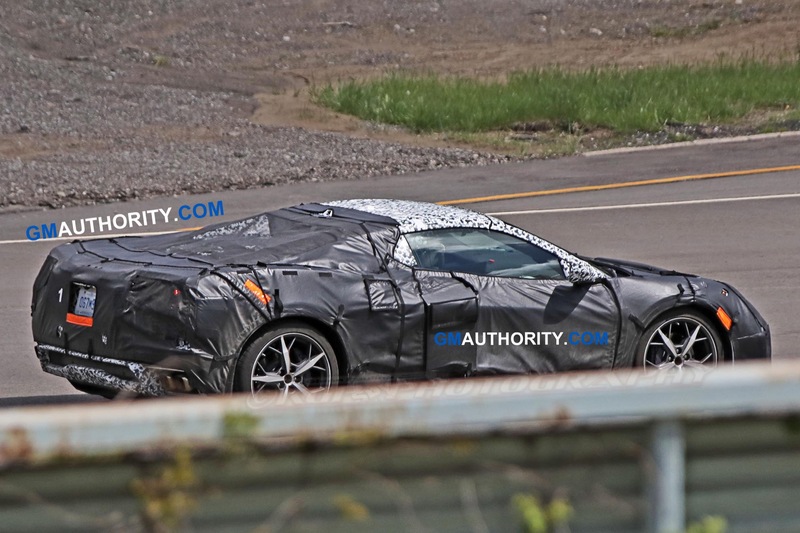 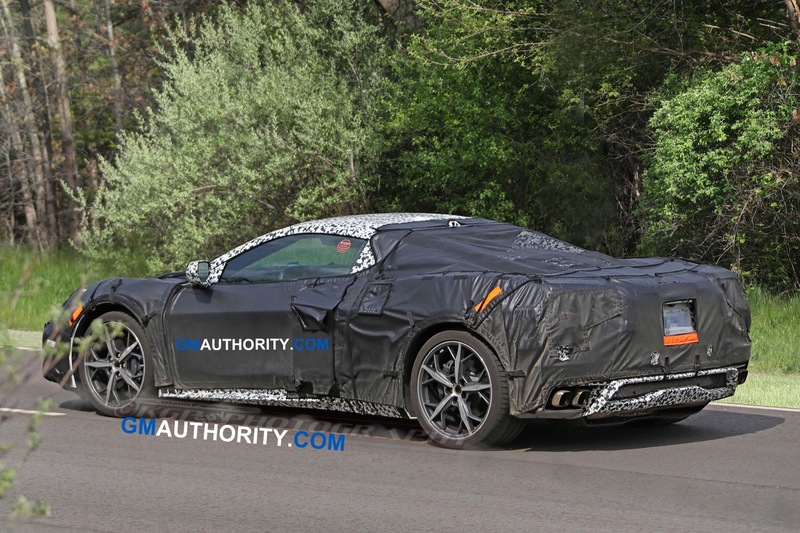 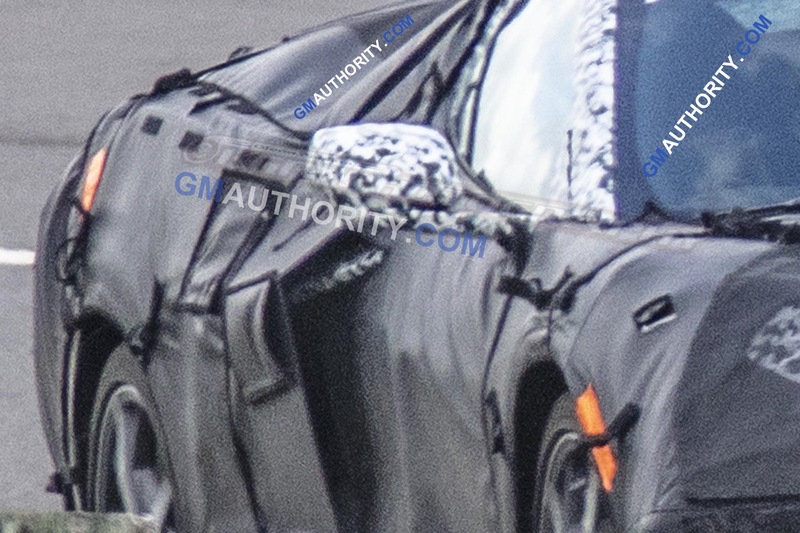 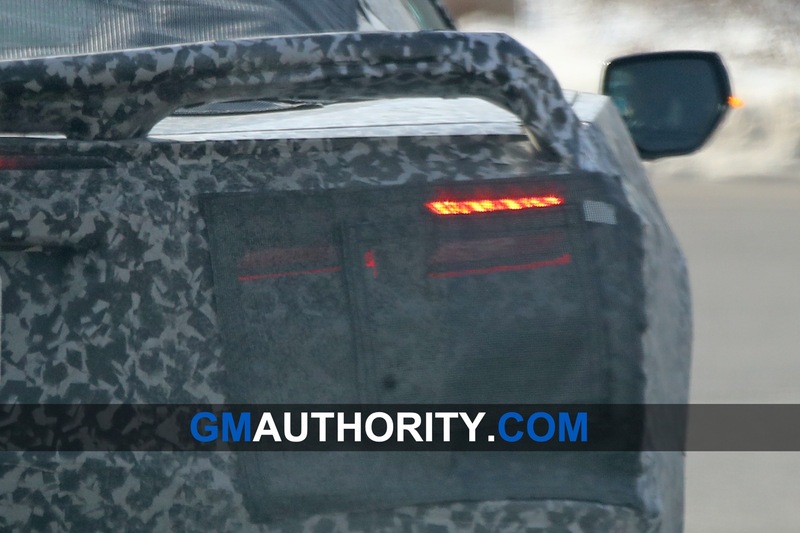 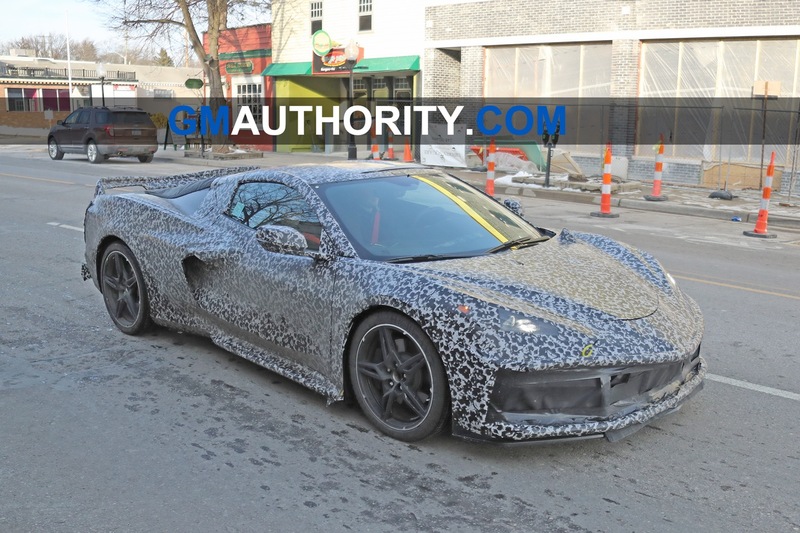 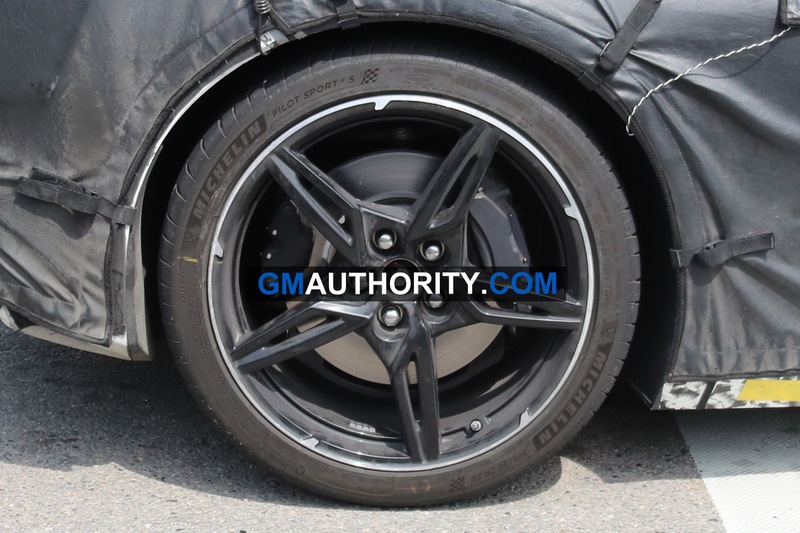 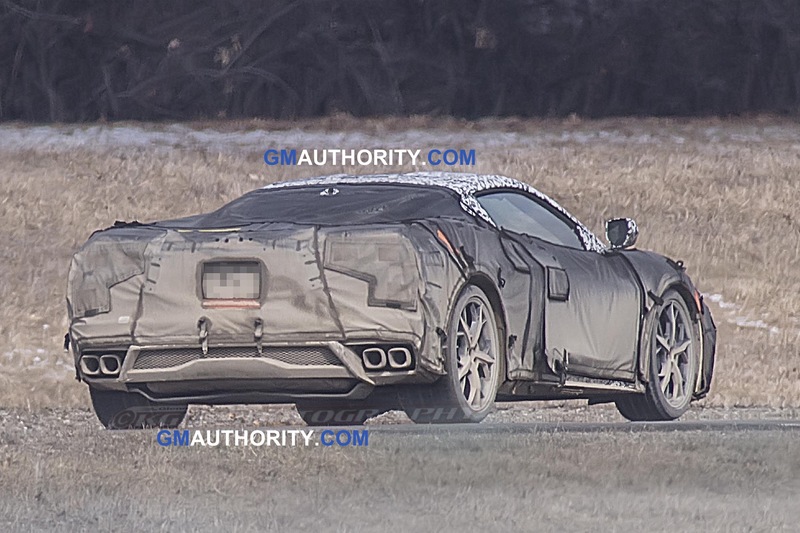 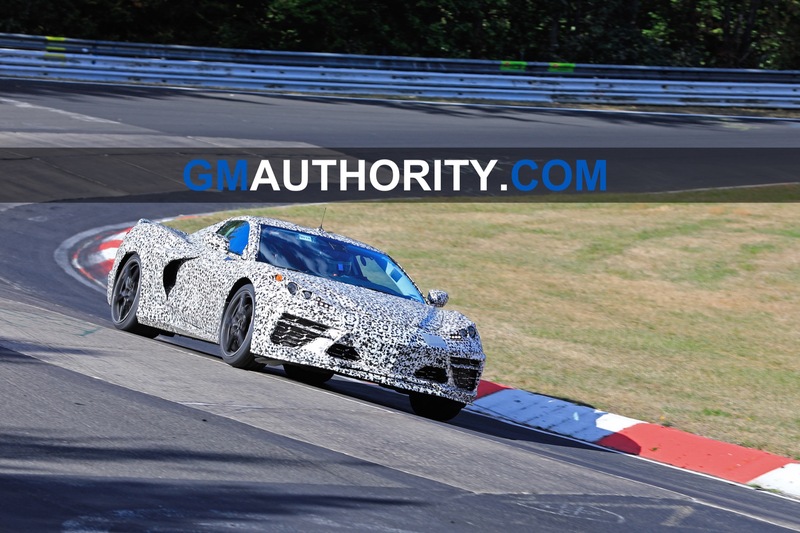 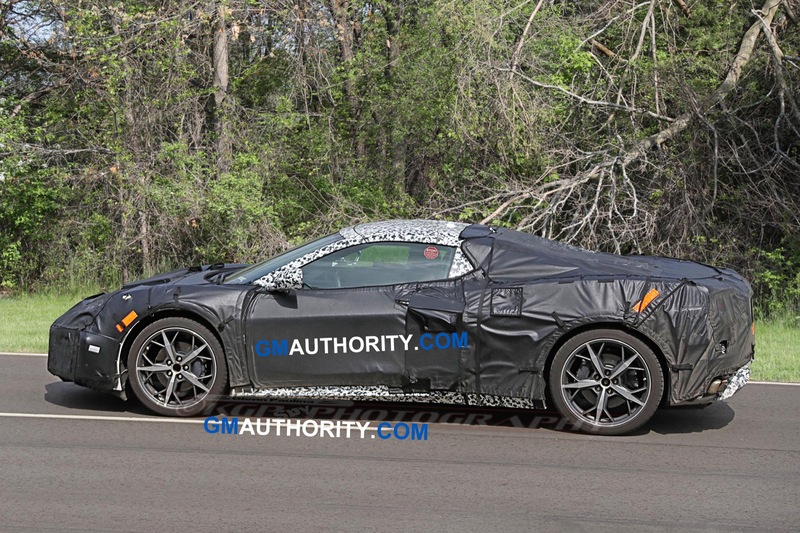 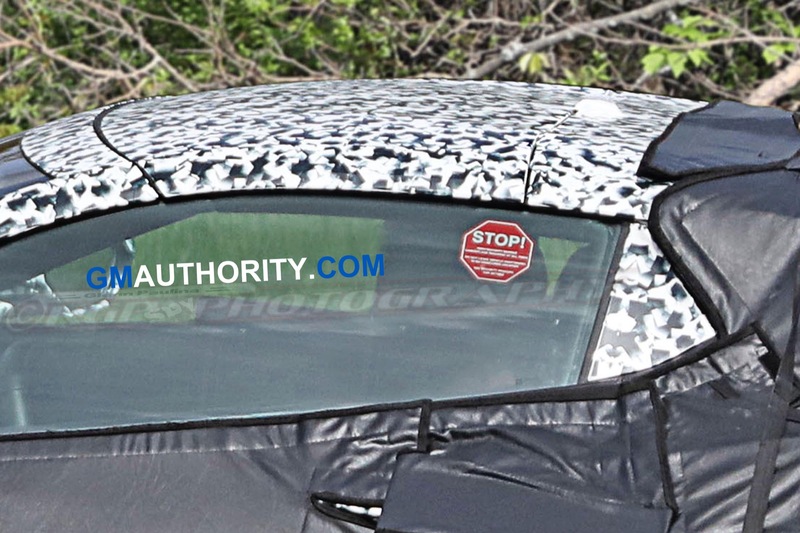 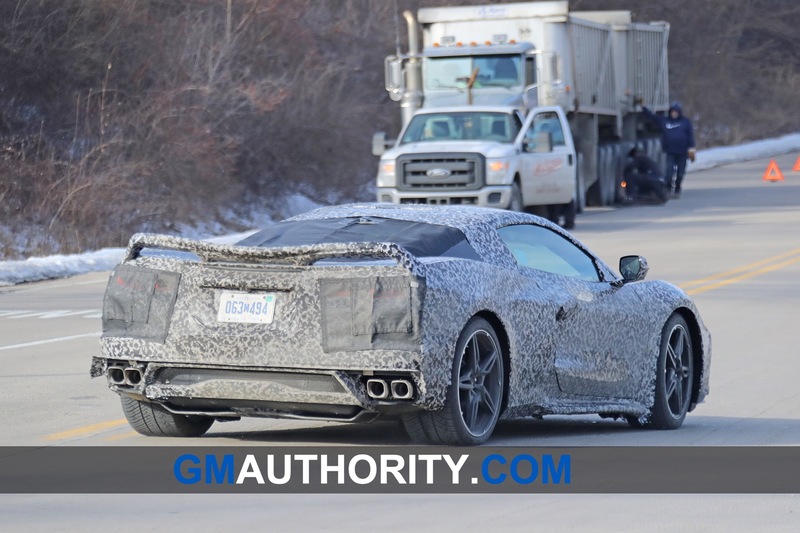 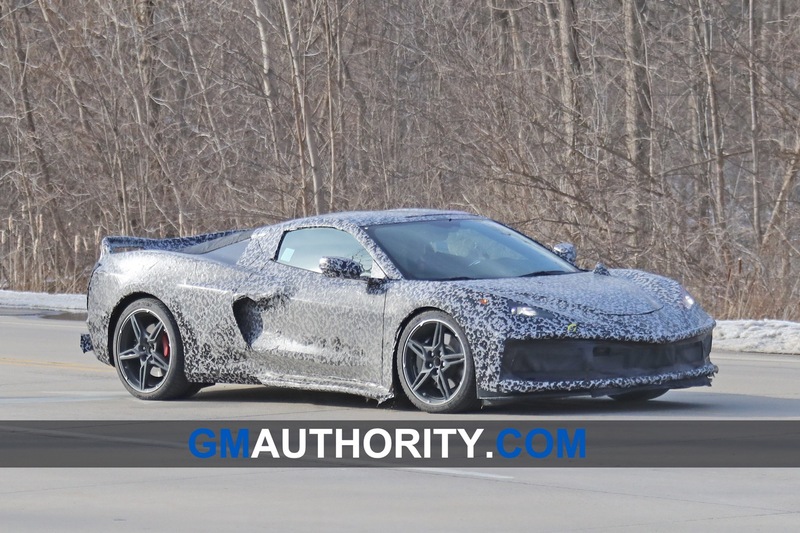 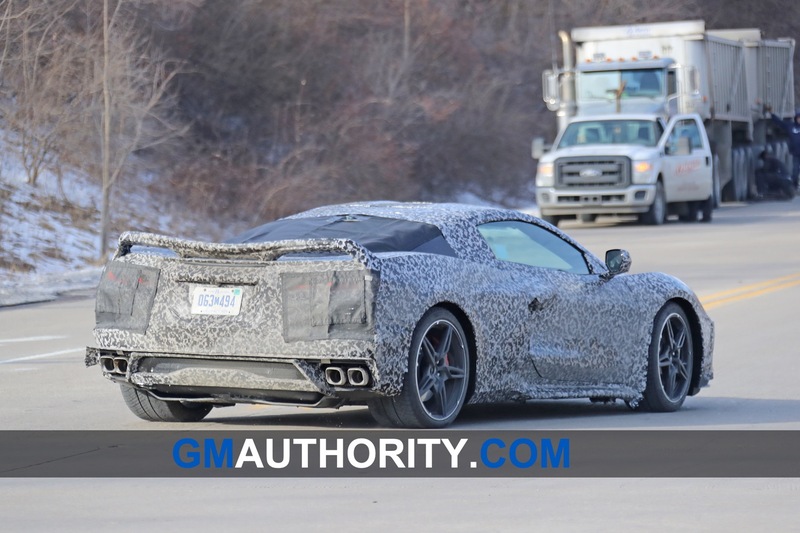 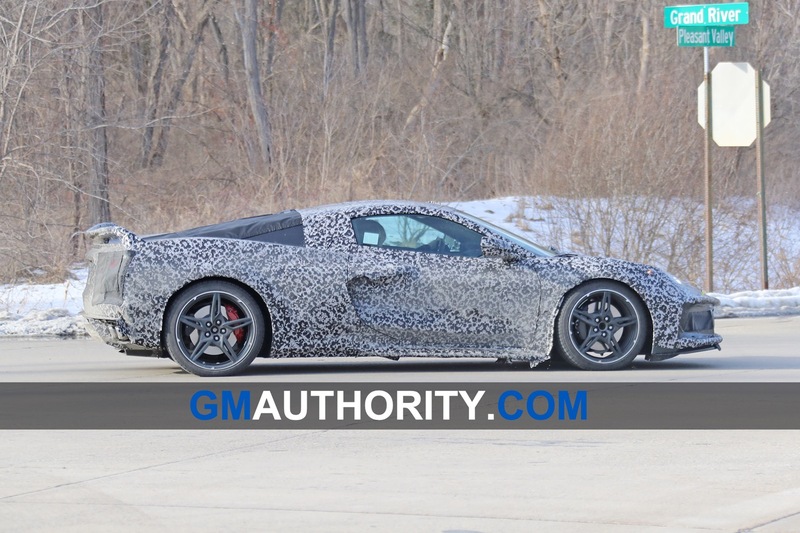 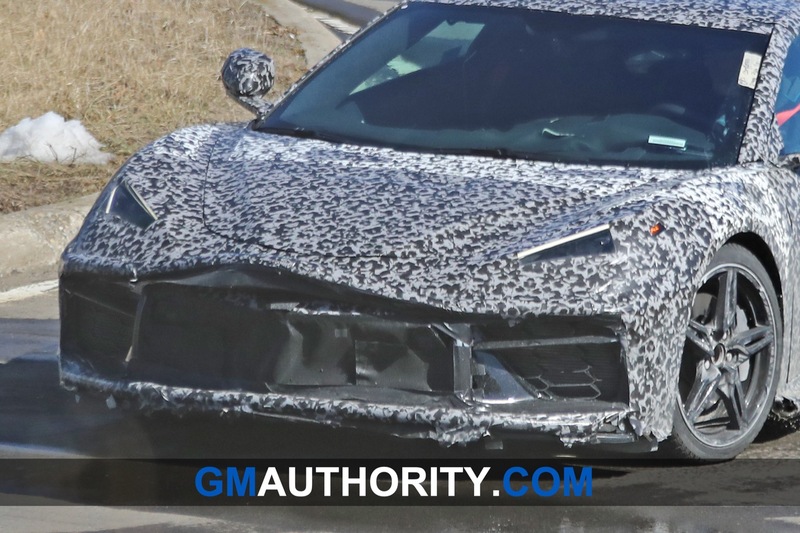 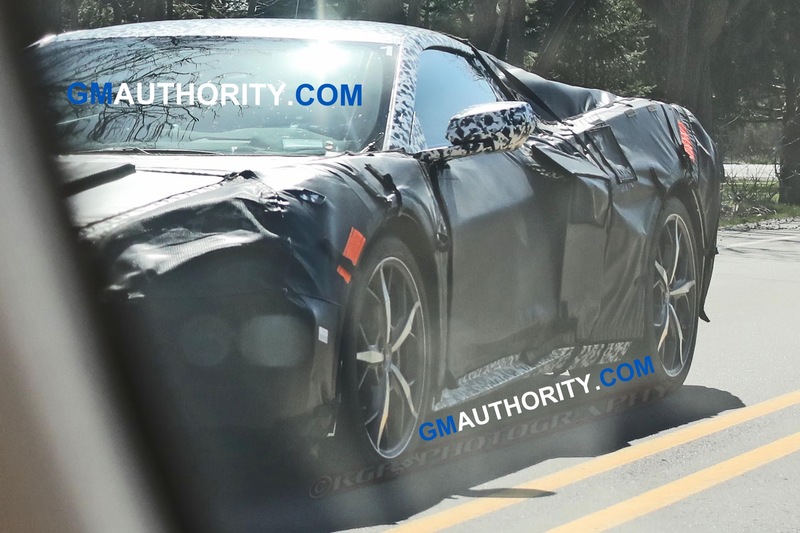 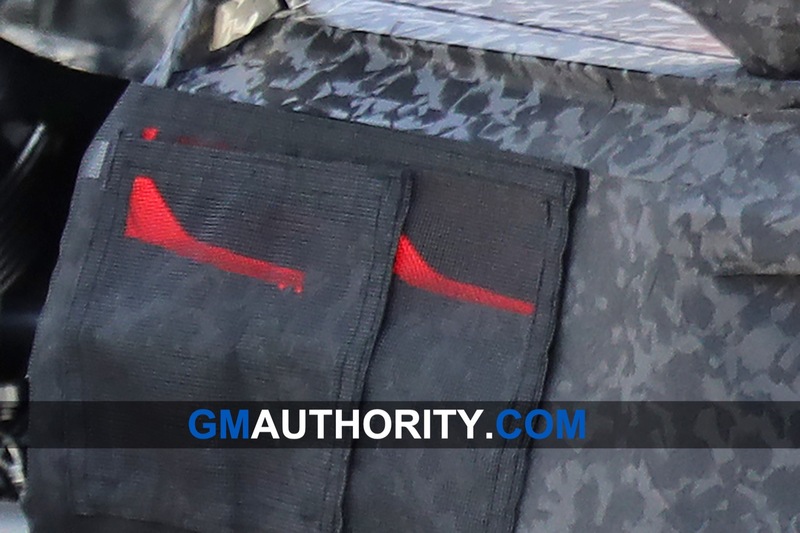 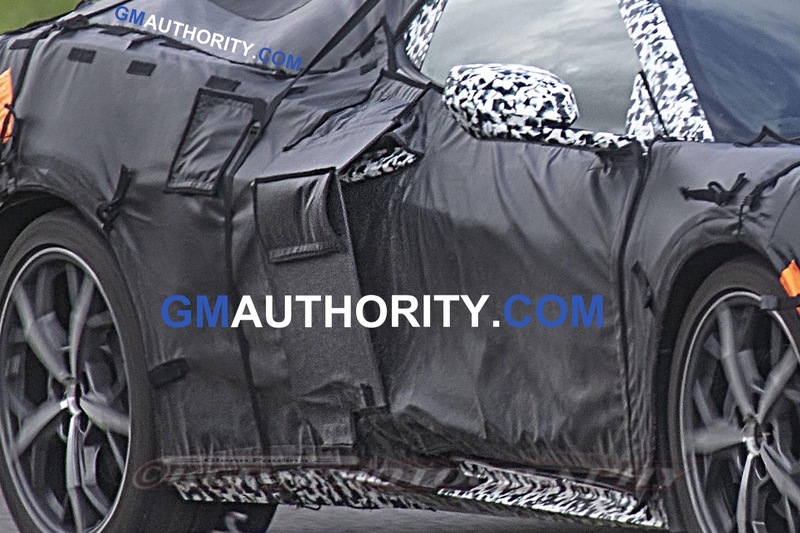 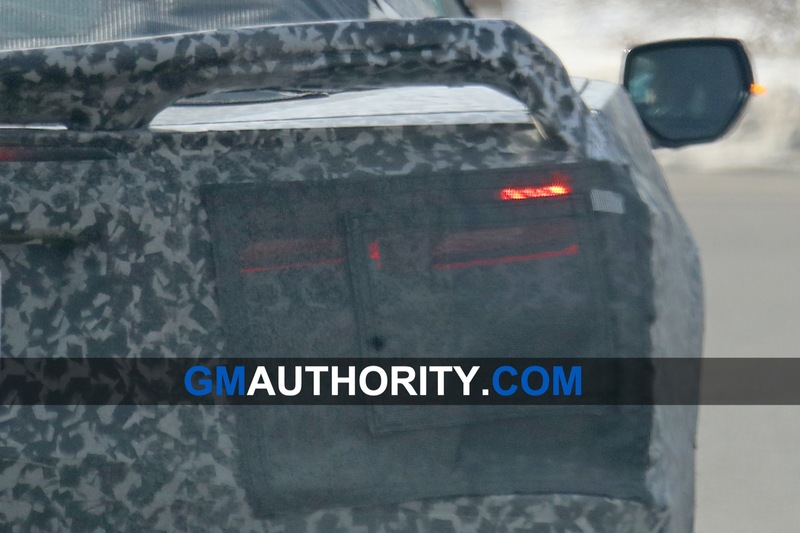 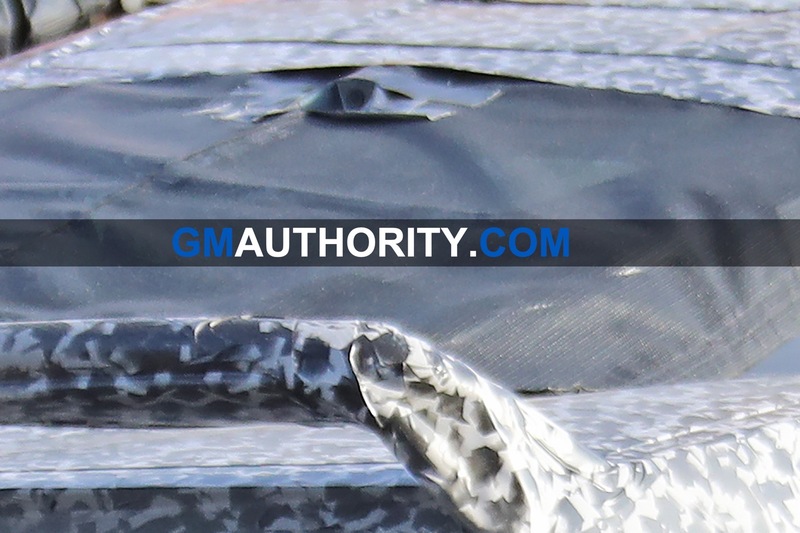 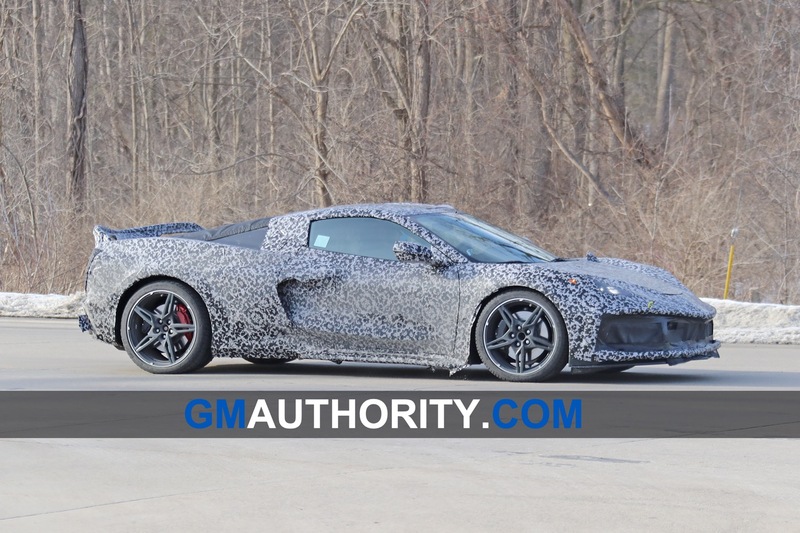 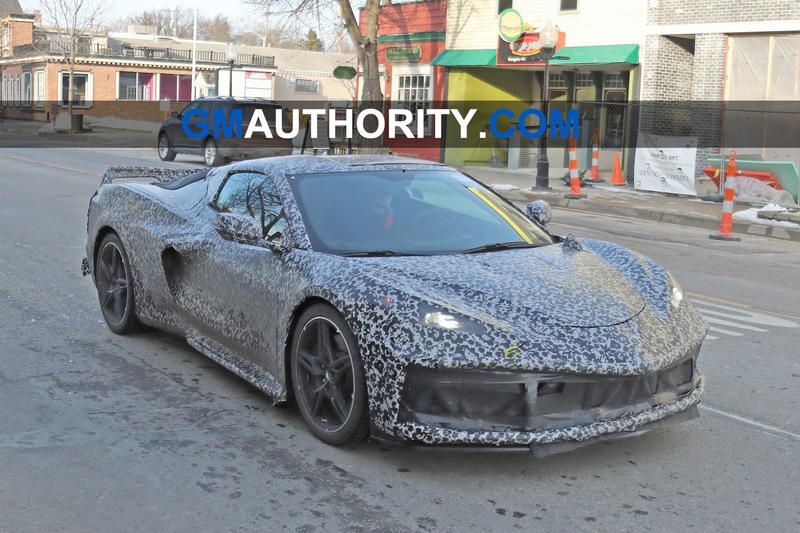 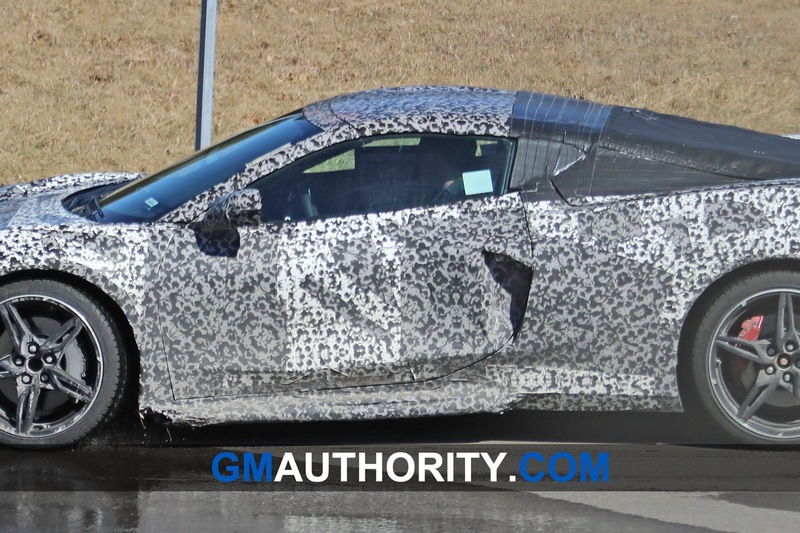 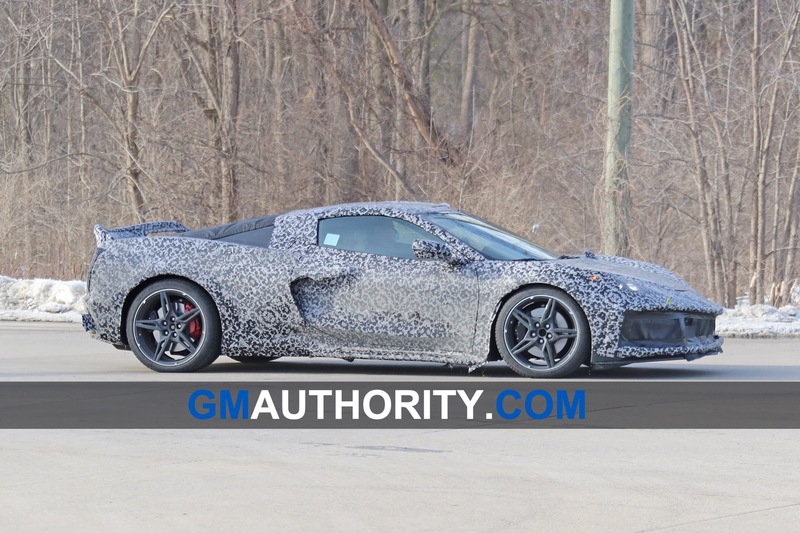 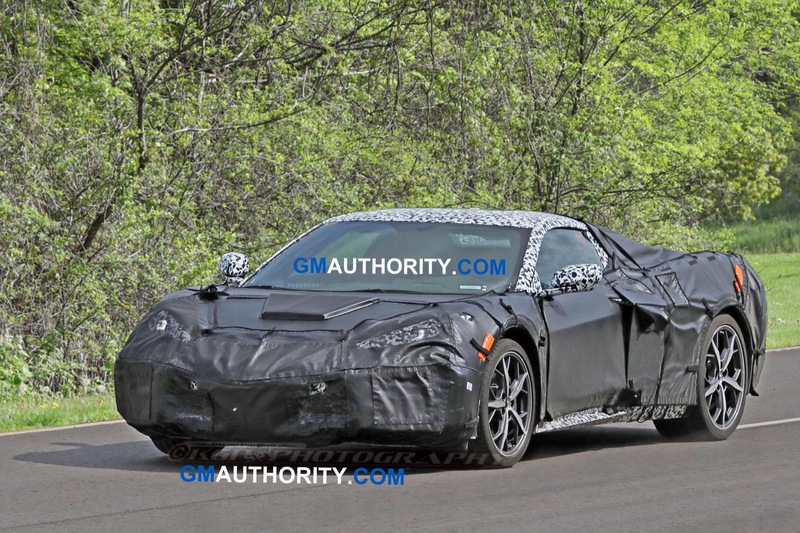 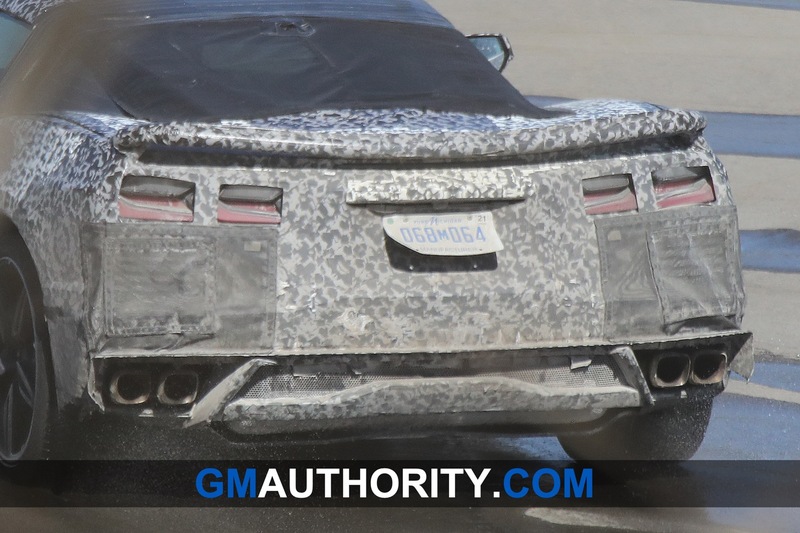 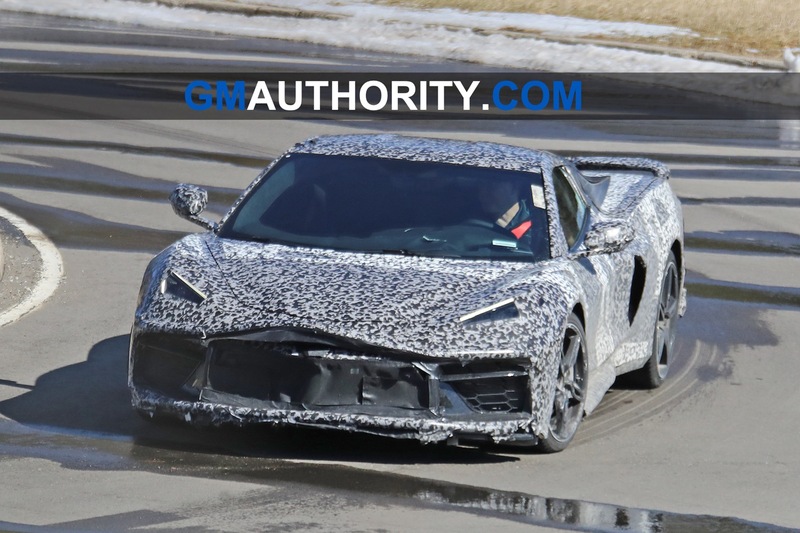 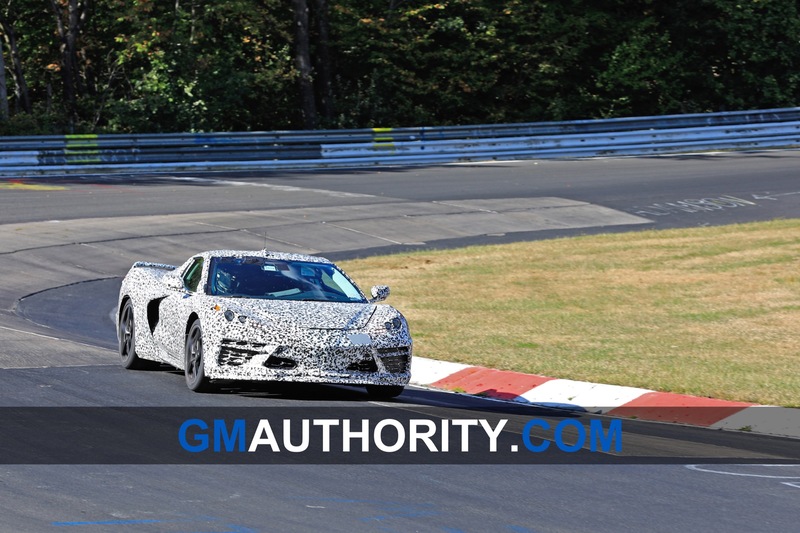 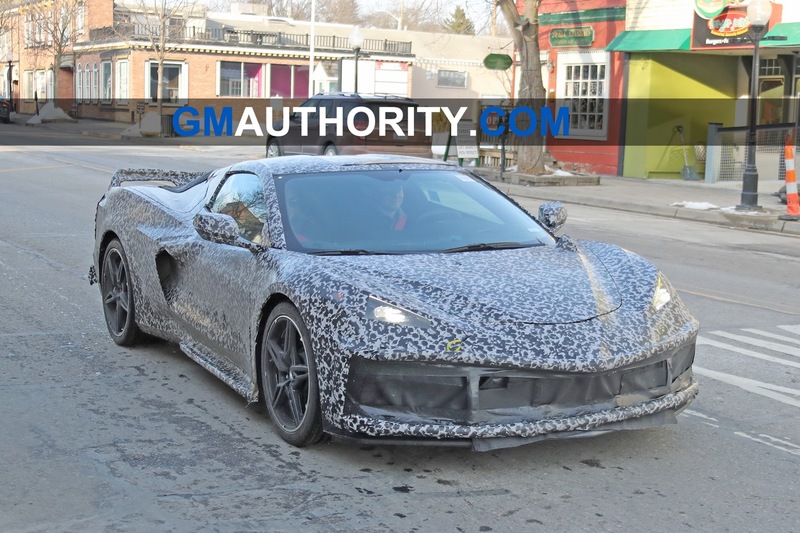 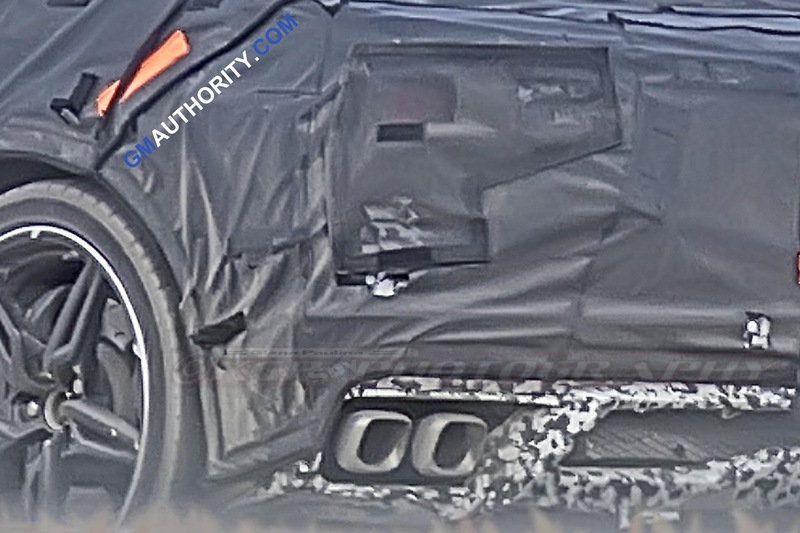 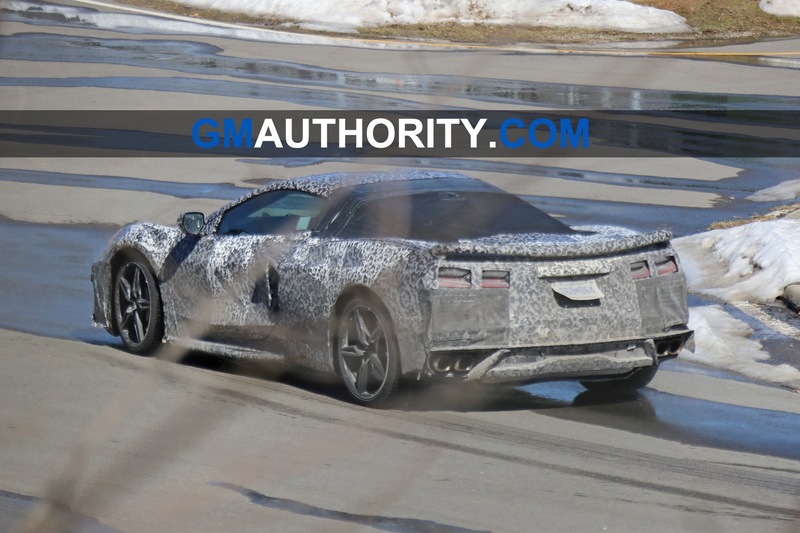 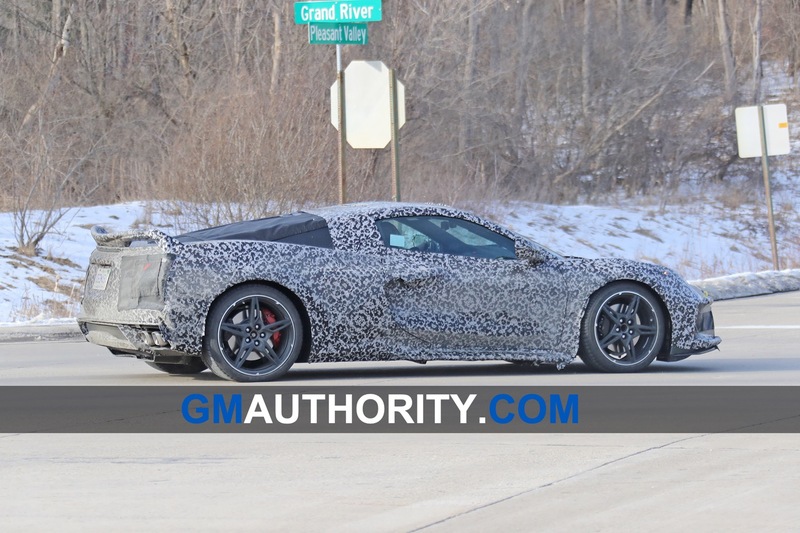 Up until now, just about every bit of speculation we’ve read about the mid-engine Corvette’s powertrain has maintained that a dual-clutch automatic would be the sole transmission available. 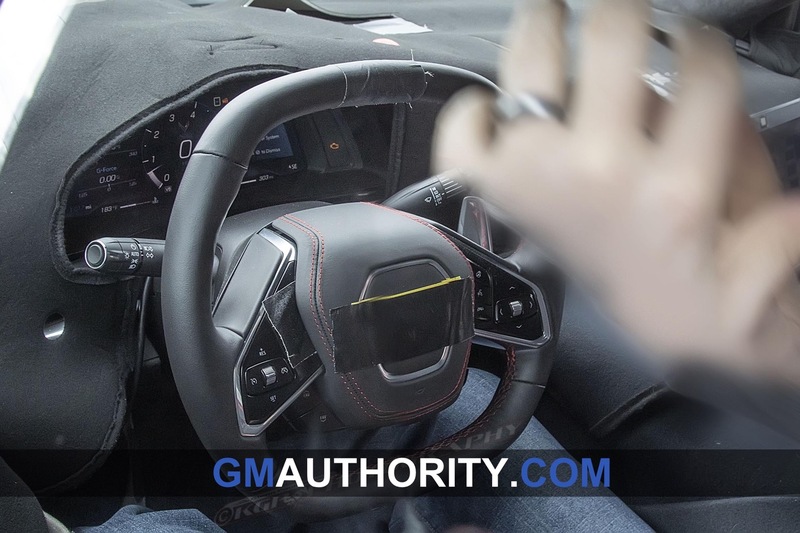 But GM’s electronic slave cylinder patent application shows how a single, manual clutch could be made more feasible in the rear-mid-engine Chevrolet Corvette C8 by negating the need to run a hydraulic line from the firewall to the rear of the car. 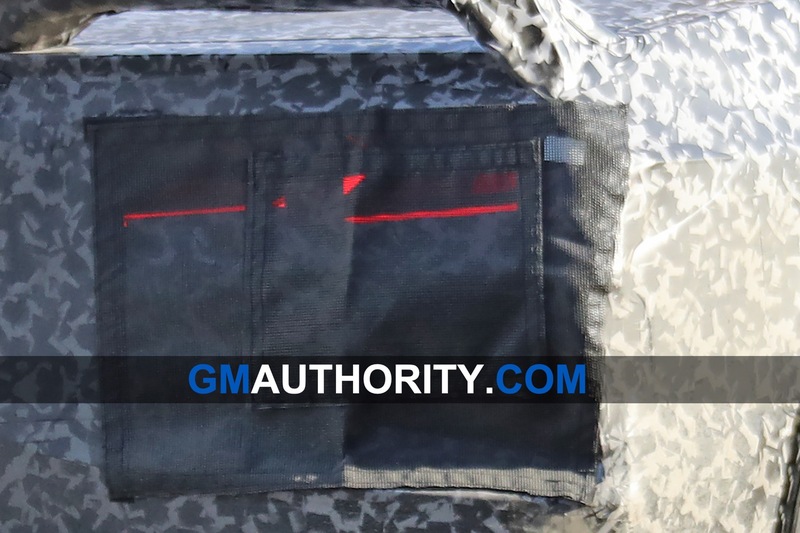 Not that a hydraulic – or even a cable-driven – clutch couldn’t be used, but an electronic clutch slave cylinder would allow for more packaging flexibility. 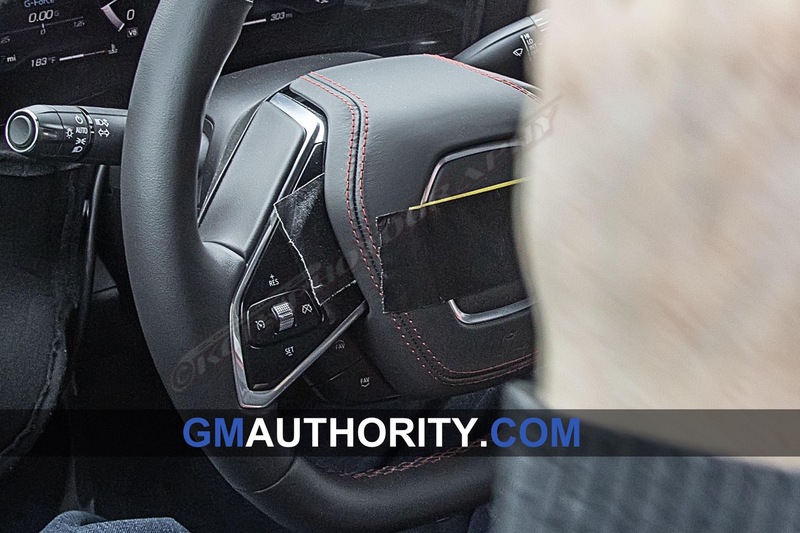 In addition, going back to all the ways in which the PCM can override the electronic signal in drive-by-wire throttle systems, a drive-by-wire clutch could theoretically do the same, using the PCM to, say, prevent drivers from riding the clutch, or dumping it suddenly at high rpm. 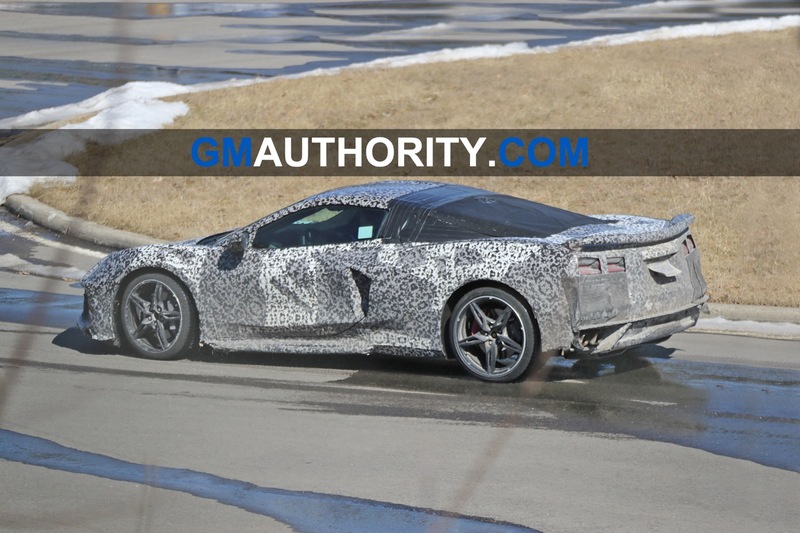 As always, just because something has been patented does not necessarily mean that it will see production. 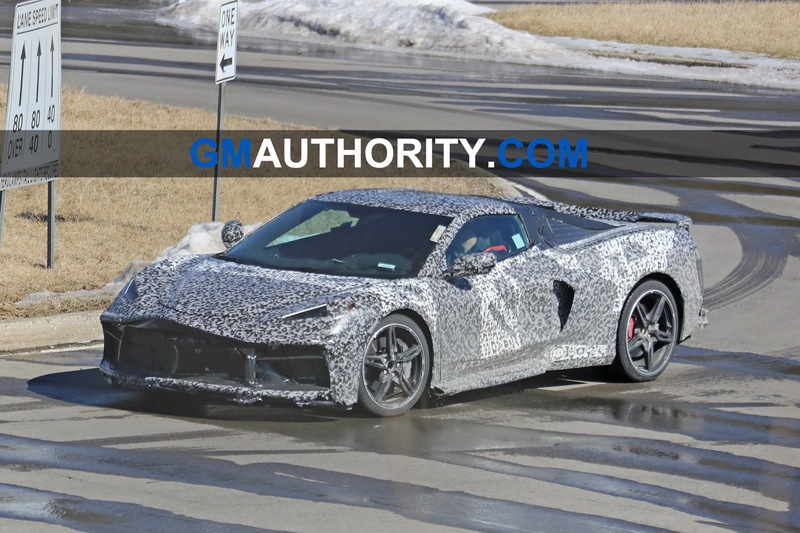 If we’re lucky, however, this GM patent application could hold the key to an available manual transmission on the mid-engine Corvette. 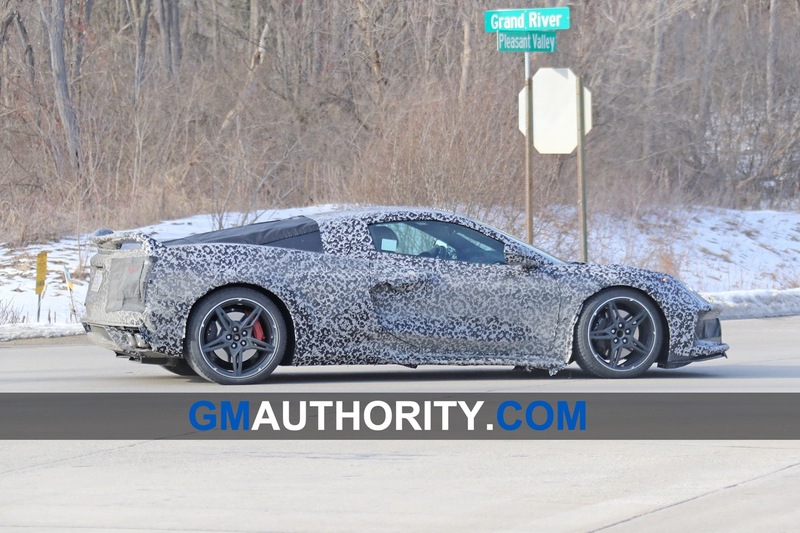 I will pick the transmission that allows the Corvette to be the fastest! 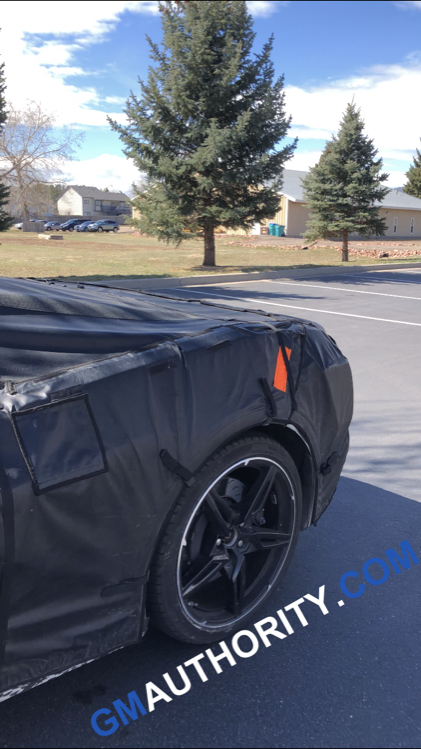 Dont care about feel, control, or fun factor. 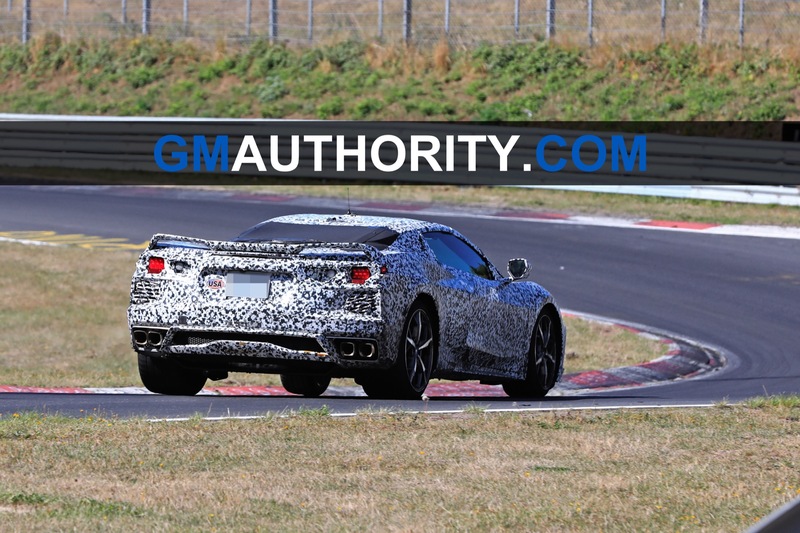 All that crap doesn’t mean anything when you show up 2nd or 3rd! 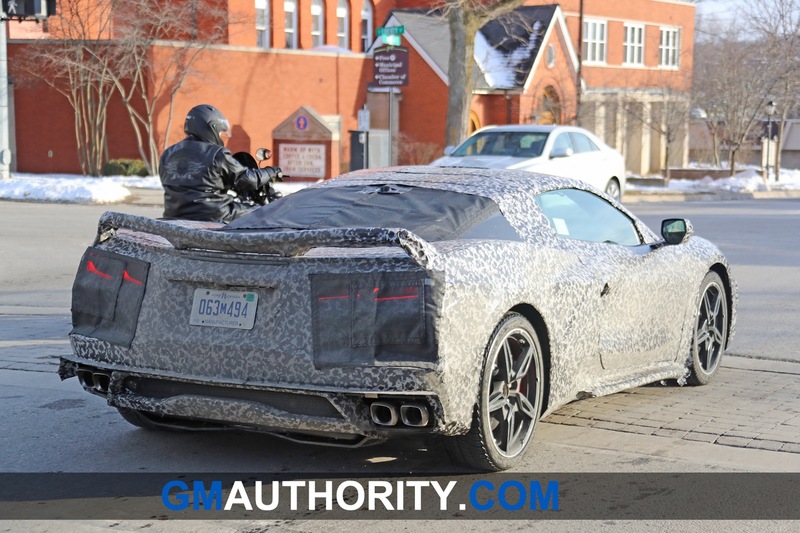 Don’t think your pal Jay Leno would agree with you on that one. 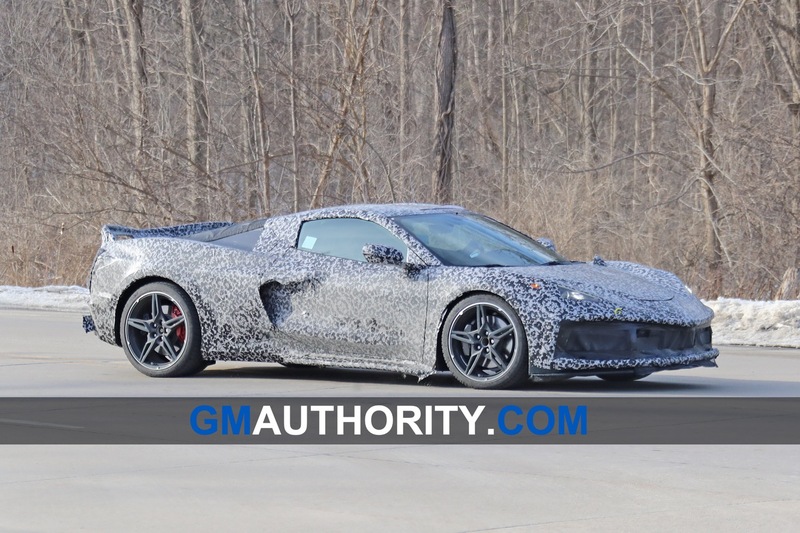 Your exactly right on that! 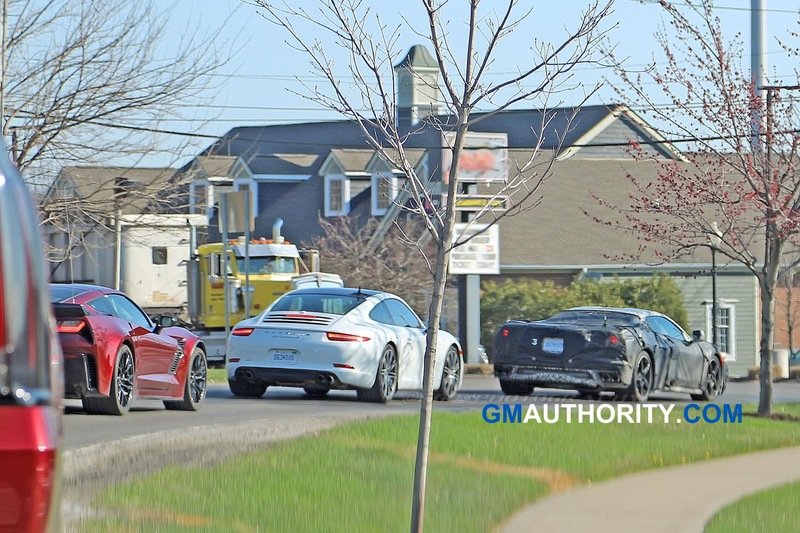 But he has what 100 cars to pick from in his collection. 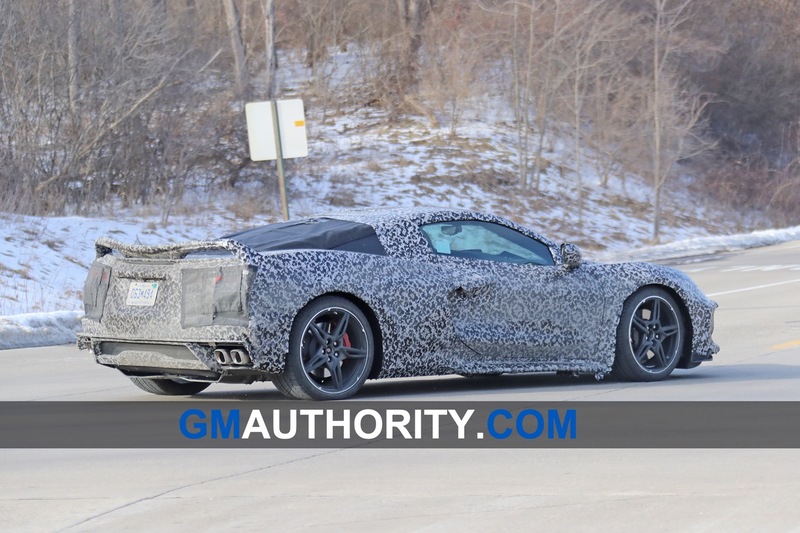 I can afford any Corvette sold at the dealer, but having 10 different Corvettes is not a option. 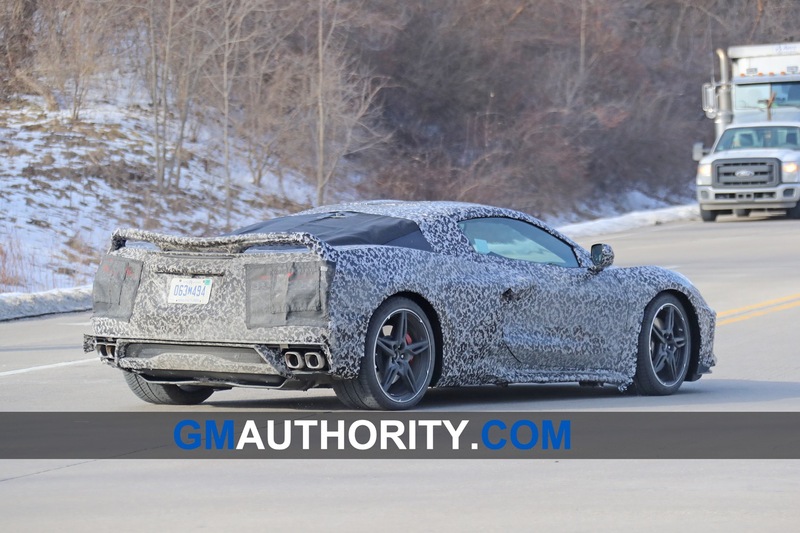 So picking the fastest one should be the priority for people that can one new or newer Corvette at a time! 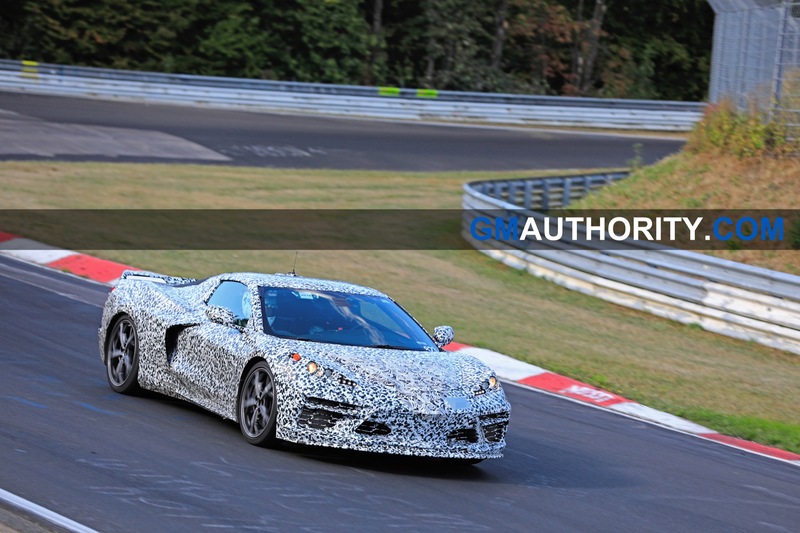 The whole idea of buying a sports car is to drive fast, so why would I pick a slower option? 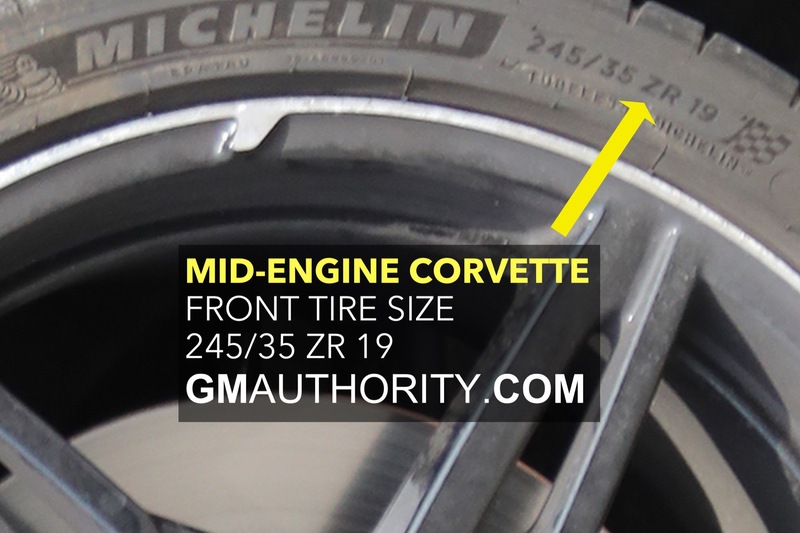 Makes no sense! 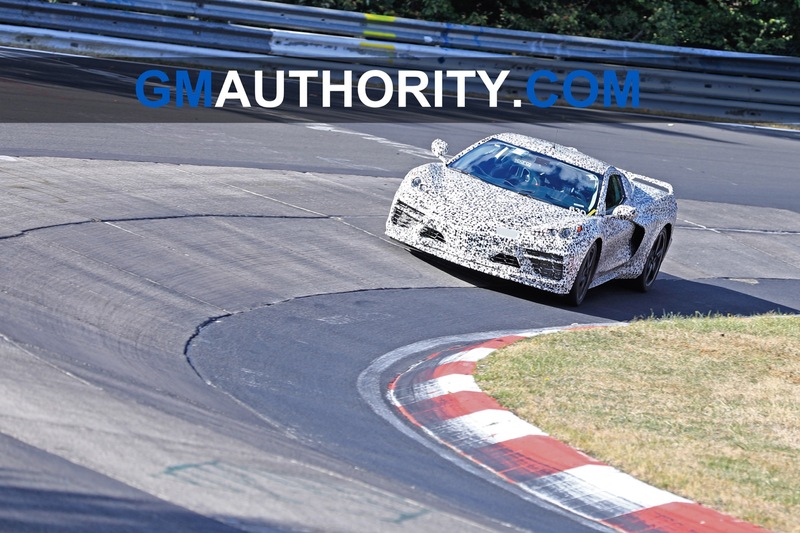 As an enthusiast, this is great news. 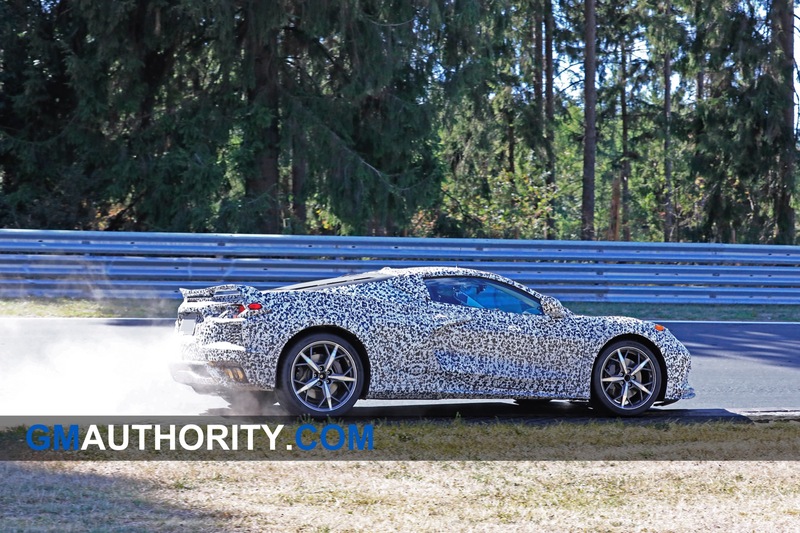 3 pedals in the C8 would get me closer to writing a cheque. 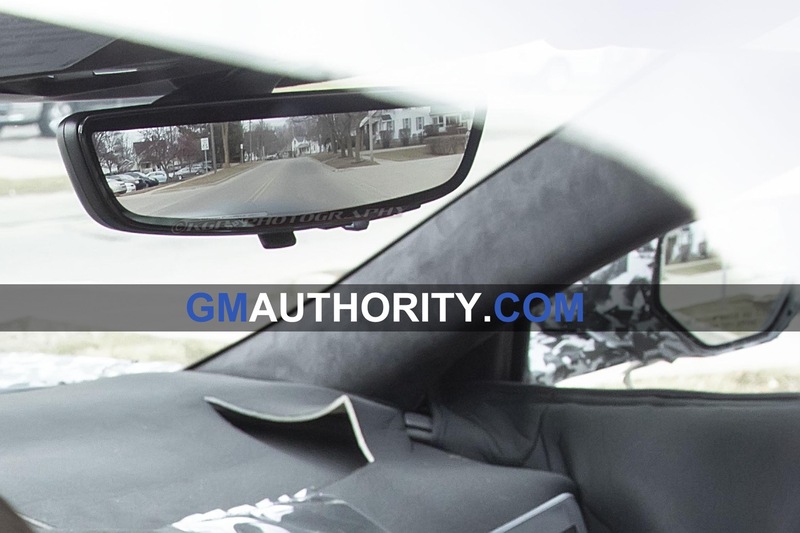 Porsche brought back their excellent manual in the 911 GT3 and sales have been excellent. 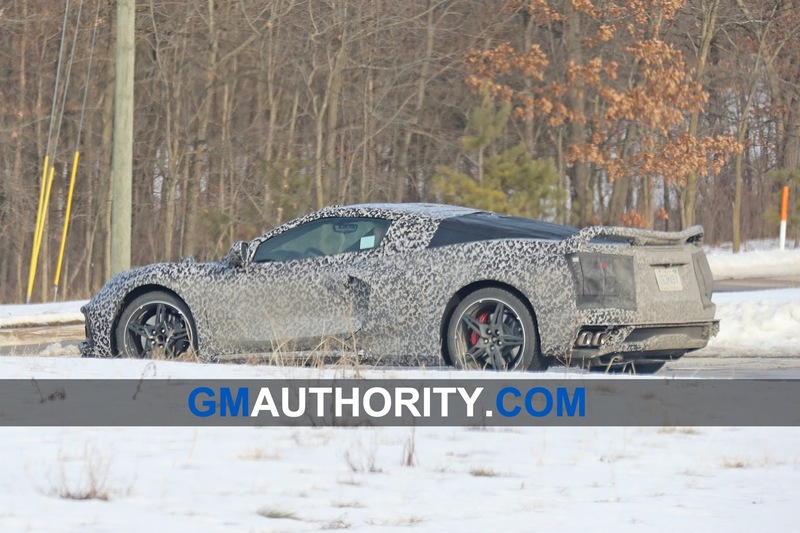 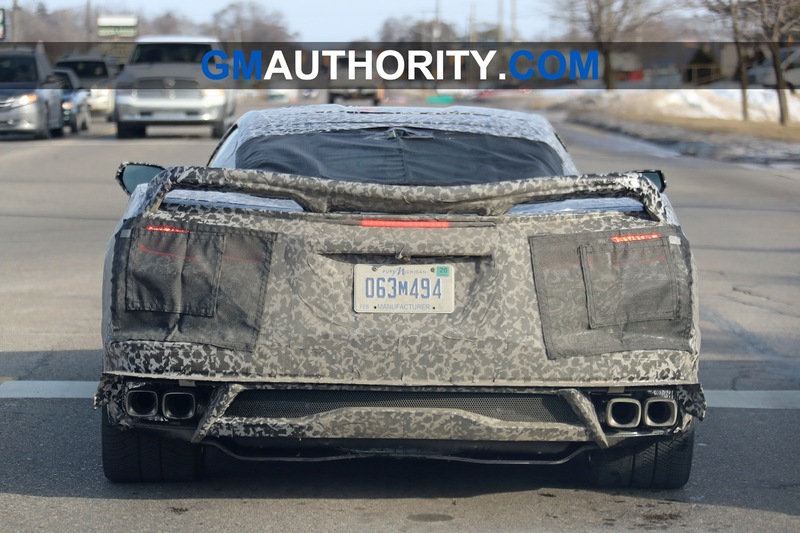 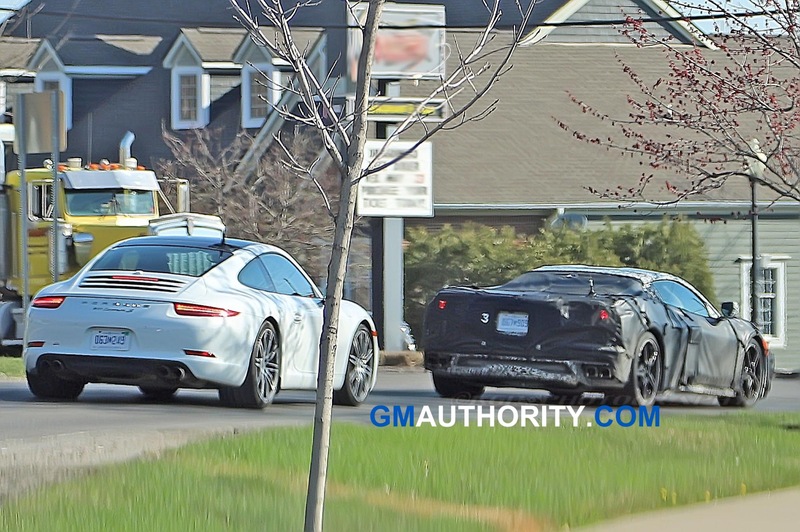 Can the wing be lowered on the mid engine corvette like cut the wing in half of what the wing looks like today. 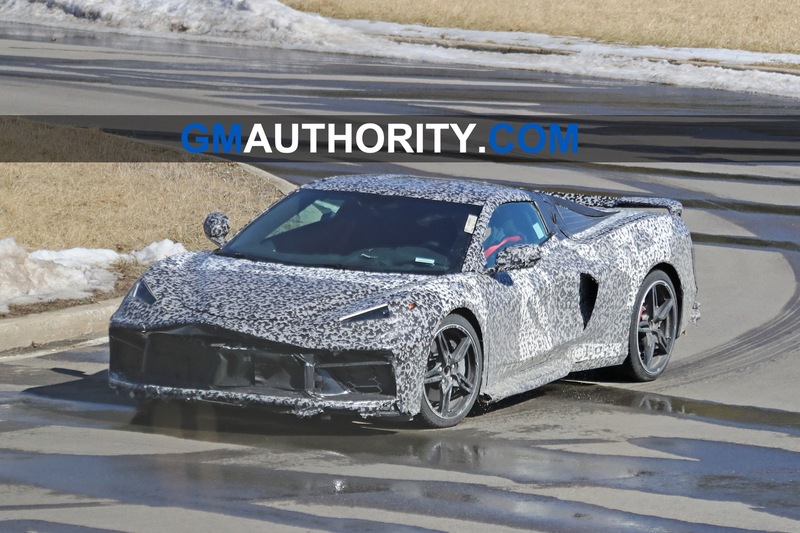 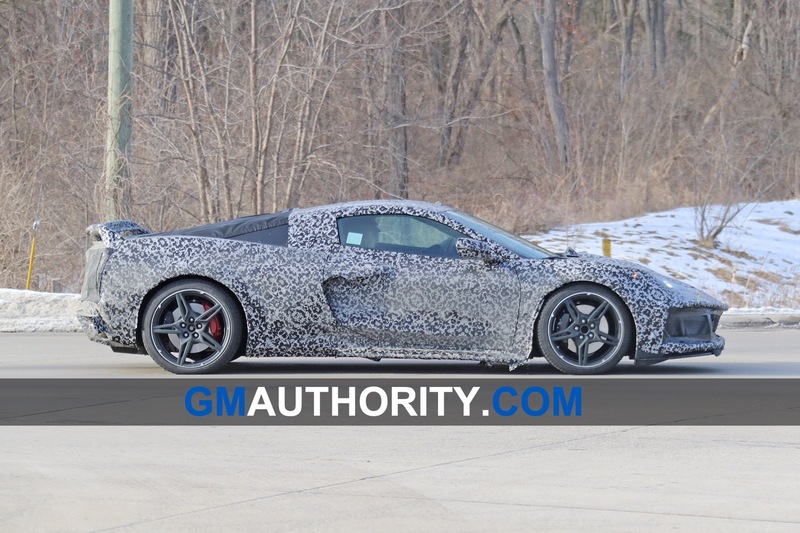 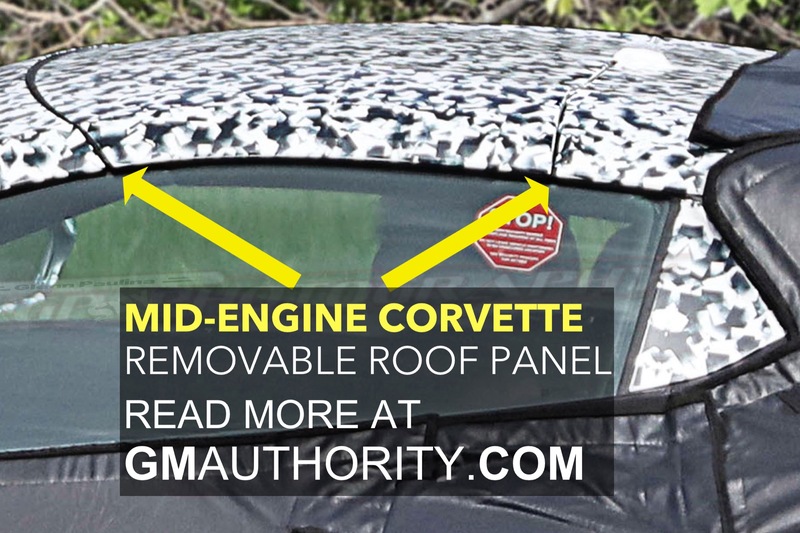 The new patent on the new mid engine corvette sounds like a good idea. 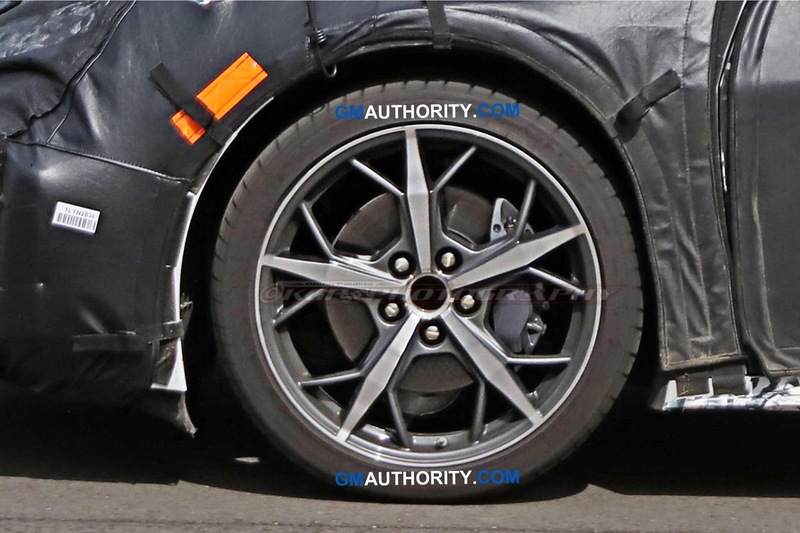 Why would you want the current wing lowered? 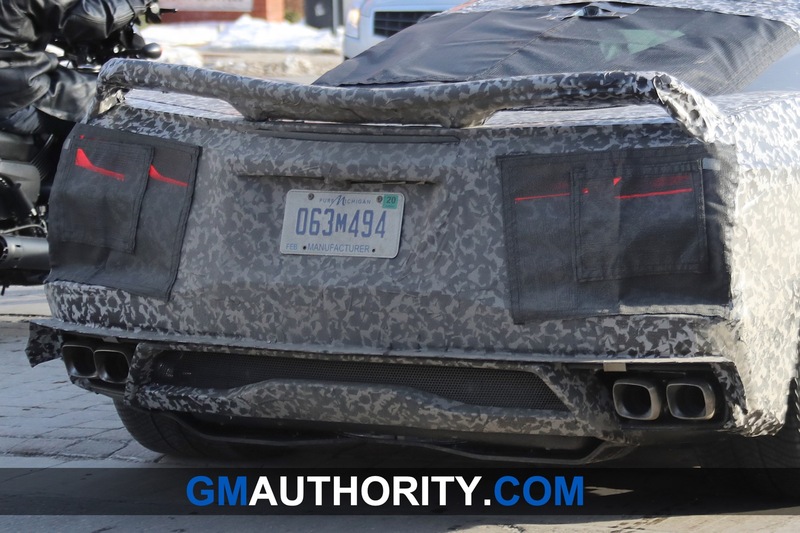 You know it has a purpose? 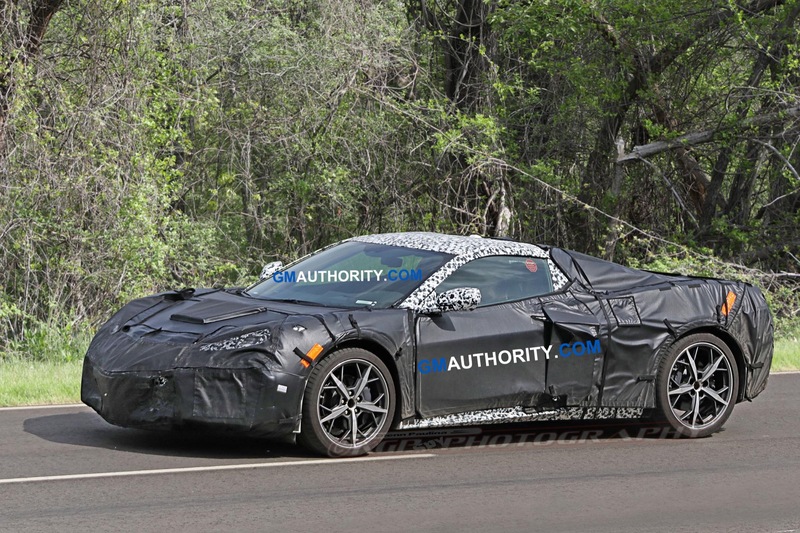 General Motors is taking on the world with their Chevrolet C8 Corvette and while there’s a temptation to demonstrate how everyone has been doing something wrong, Chevrolet should remember 4 words.. ‘Keep it simple stupid’ and just do it right because the last thing GM needs is a transmission is complicated and doesn’t work properly.